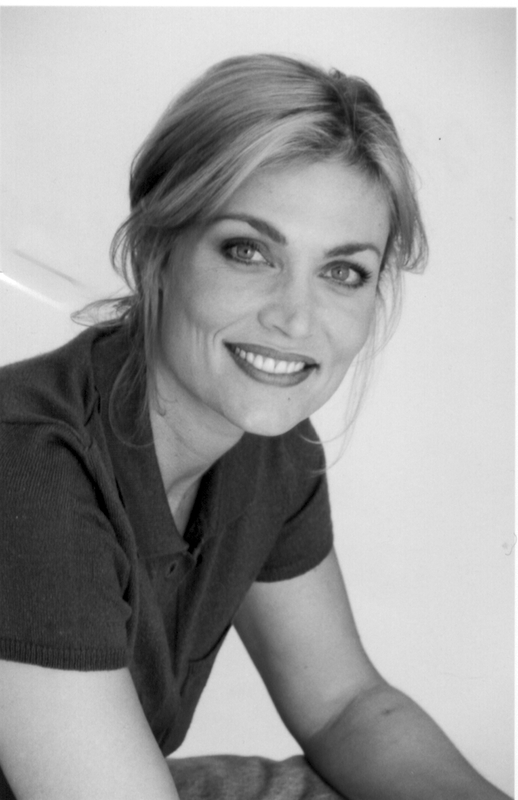 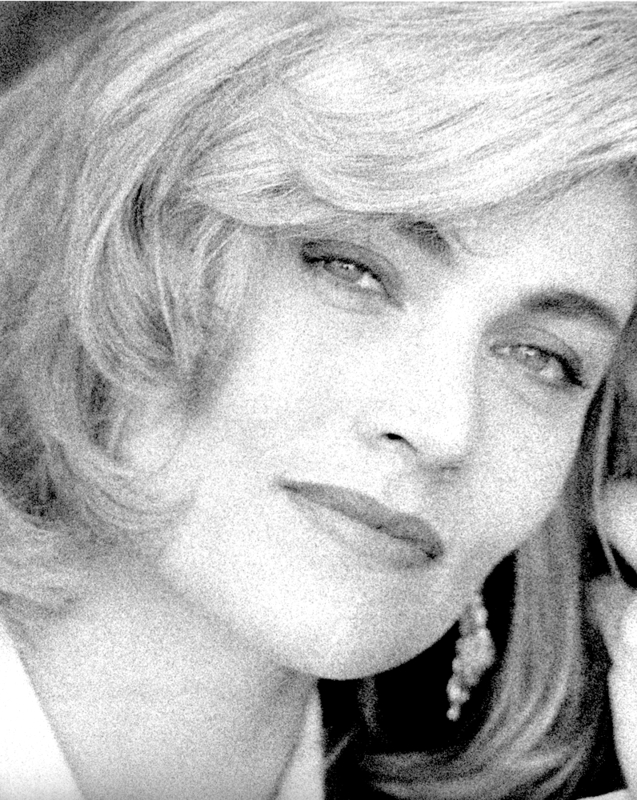 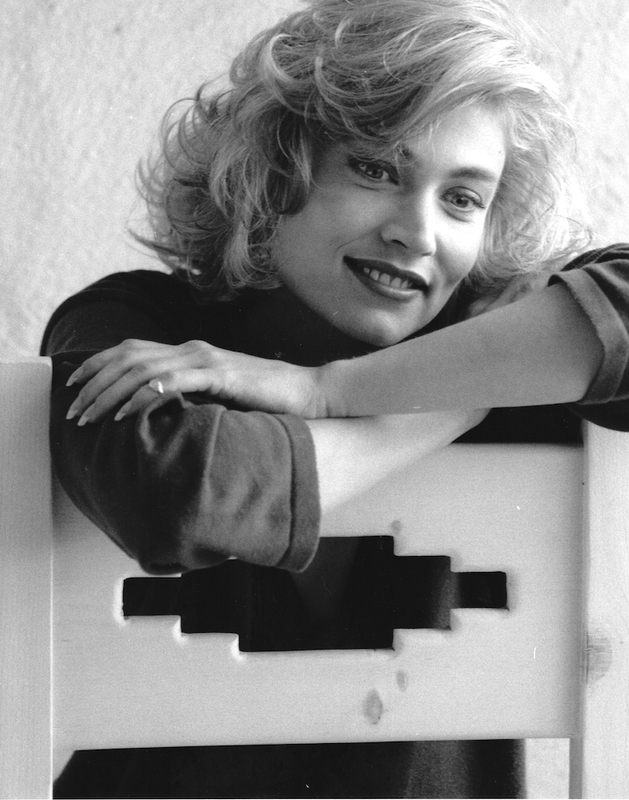 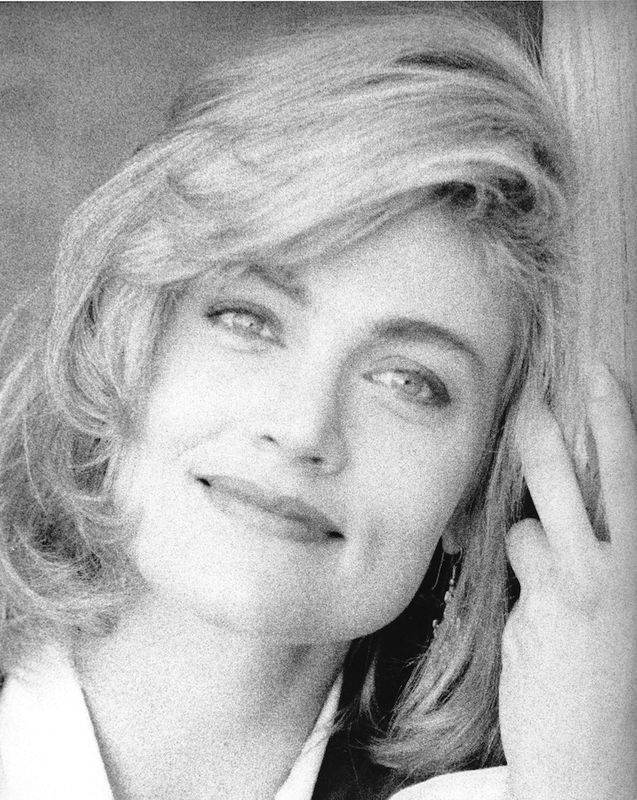 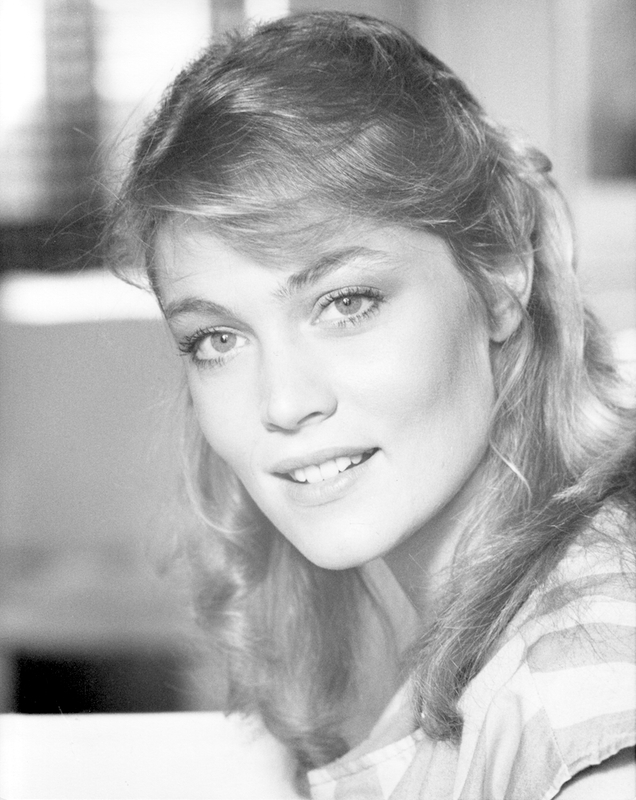 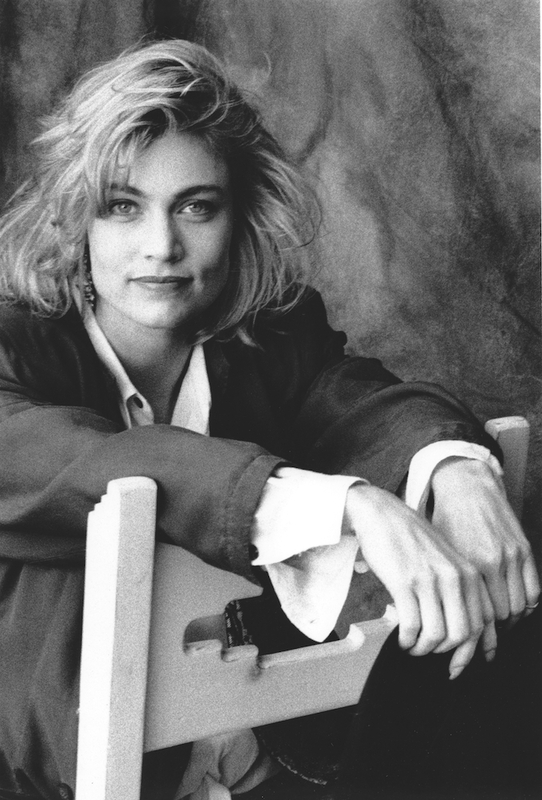 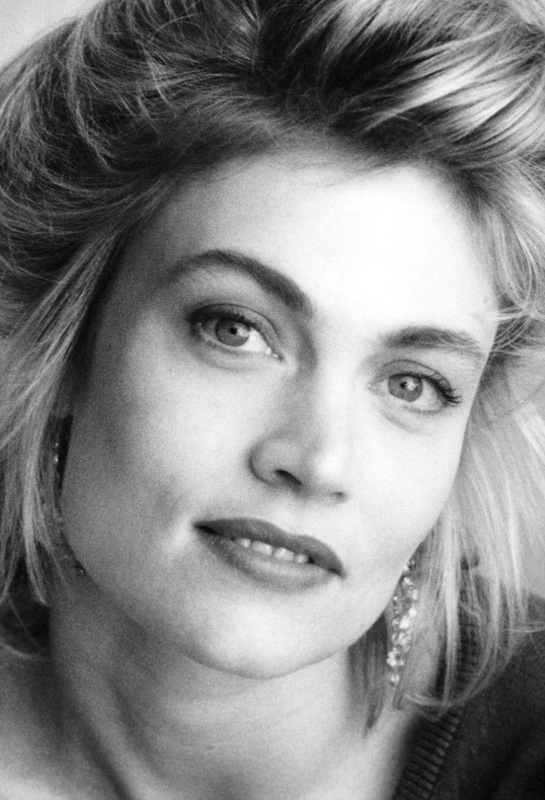 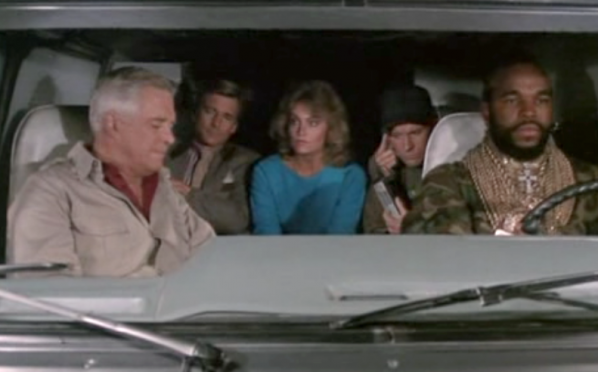 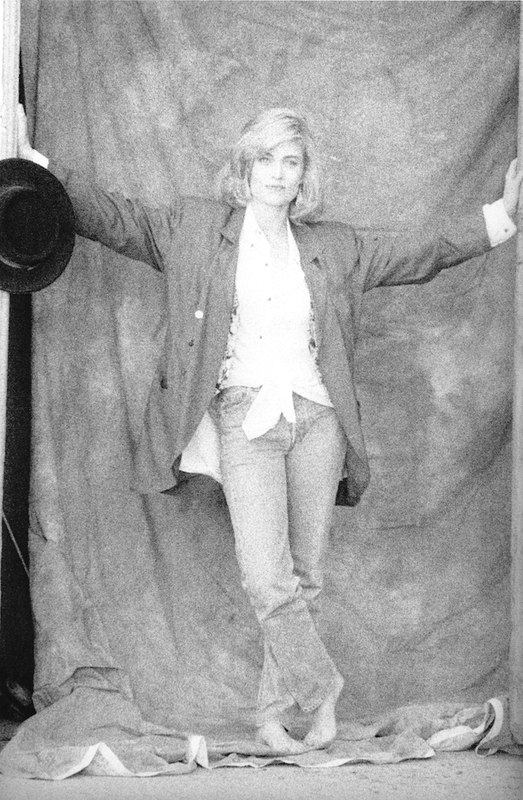 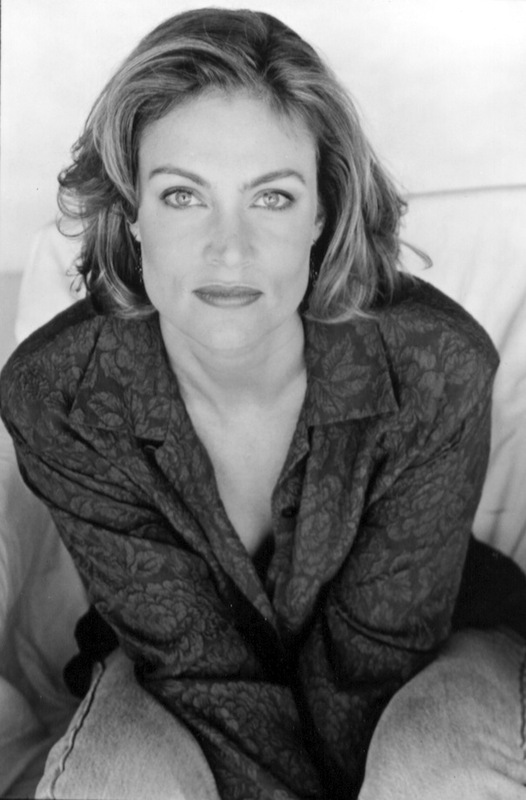 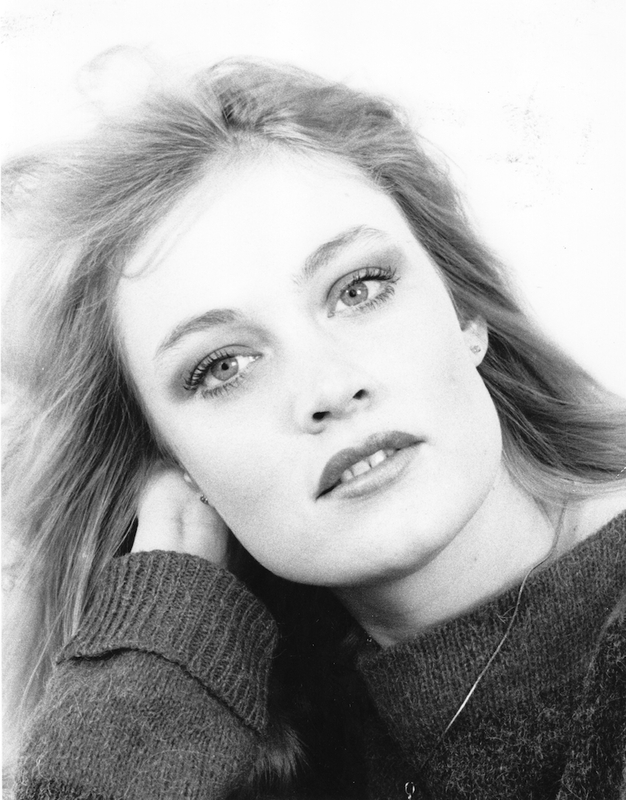 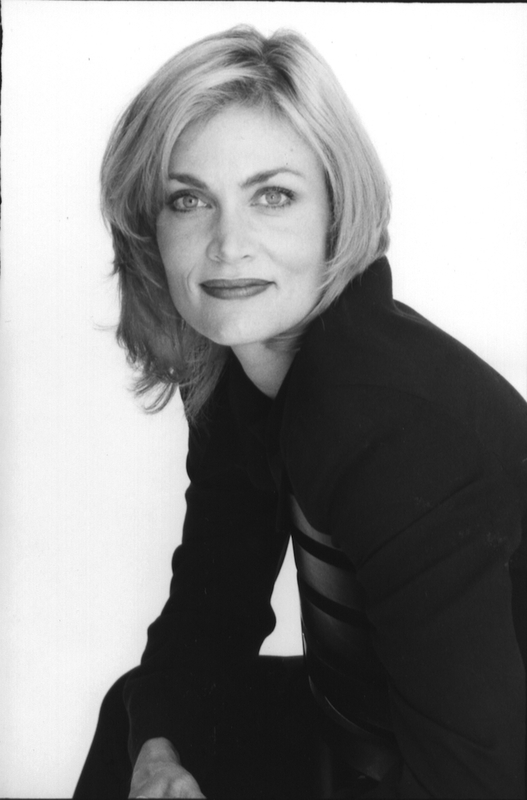 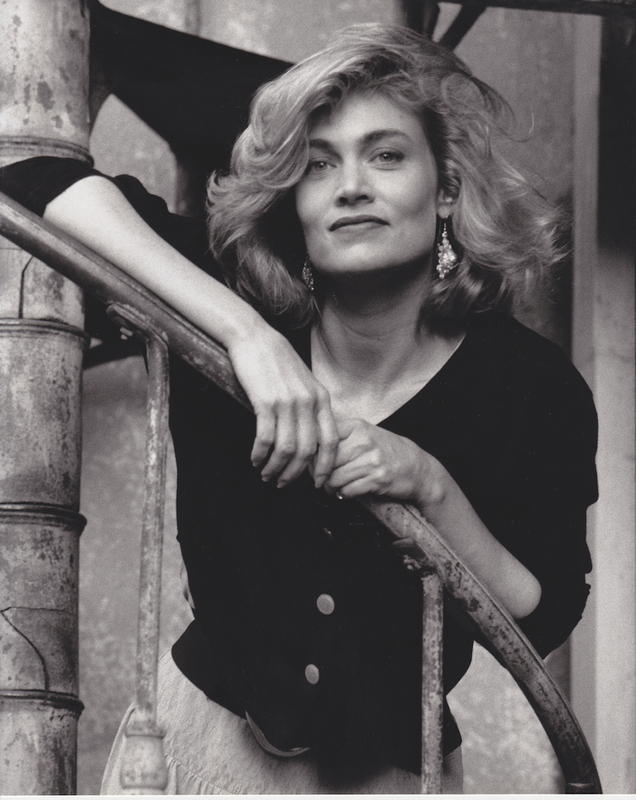 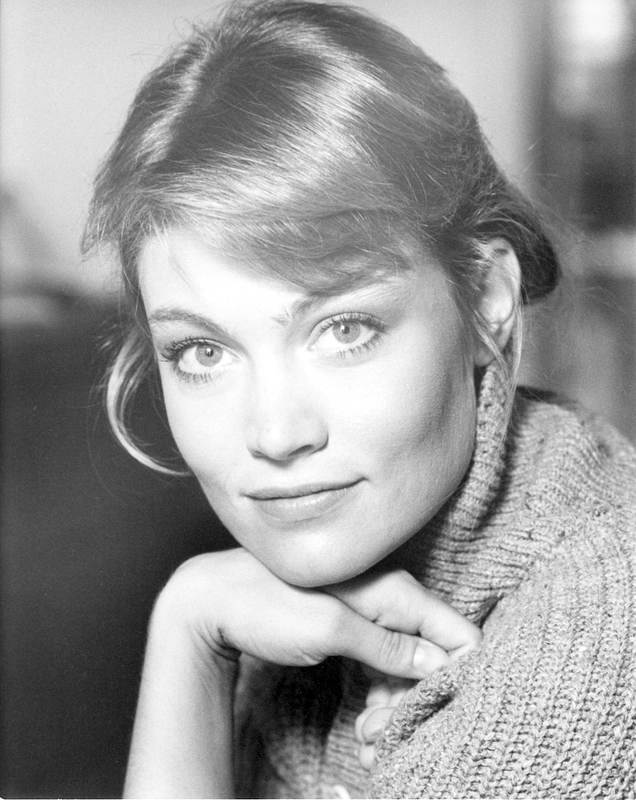 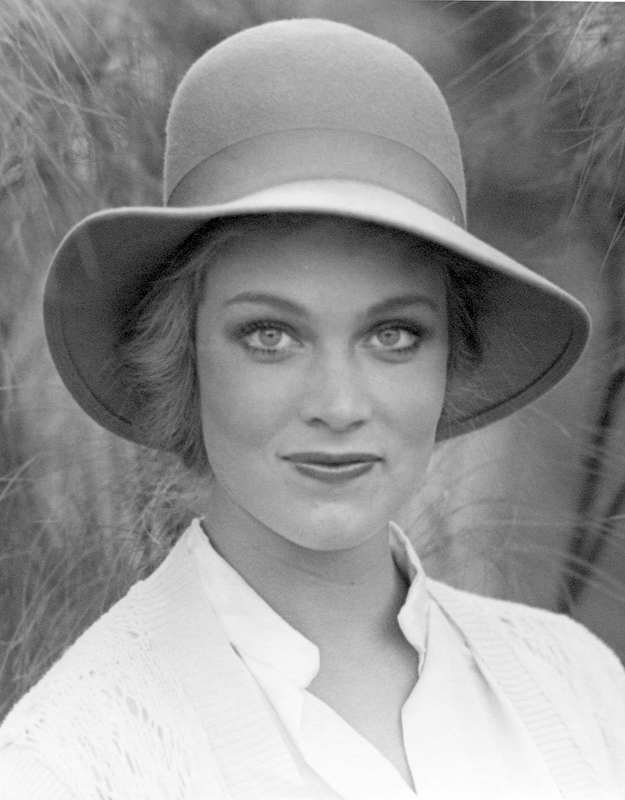 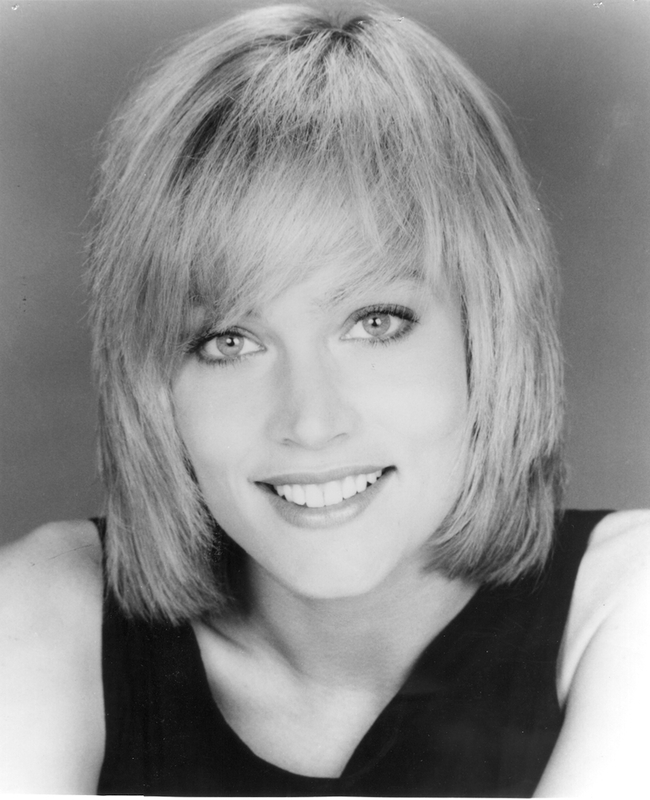 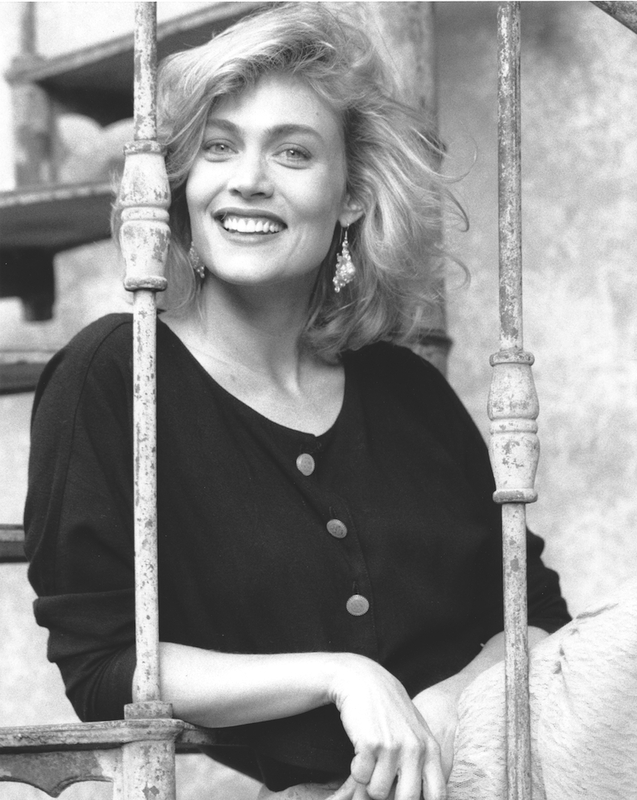 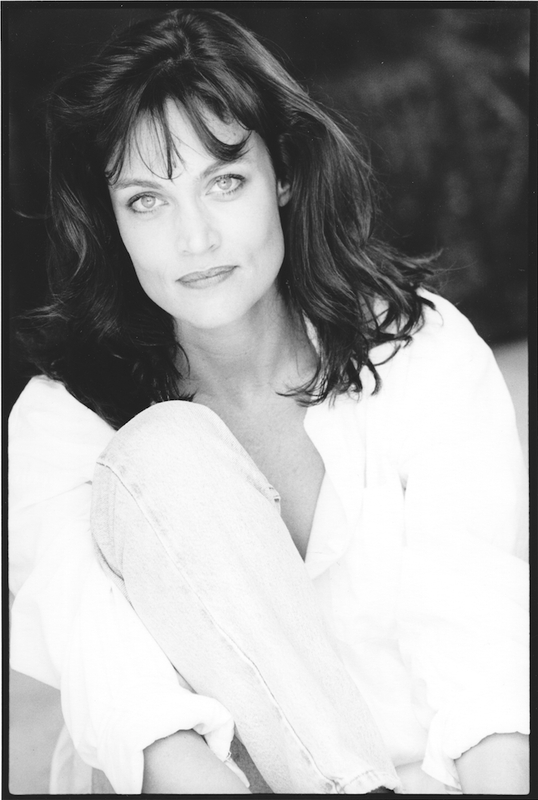 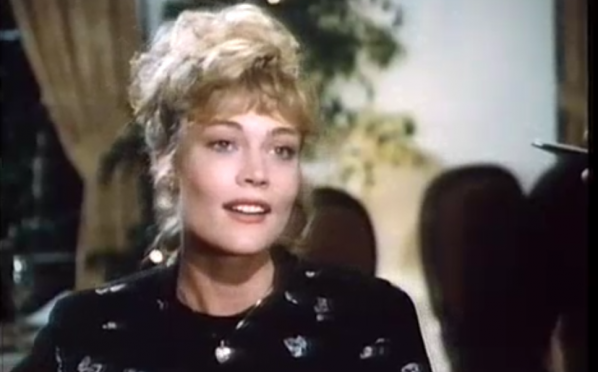 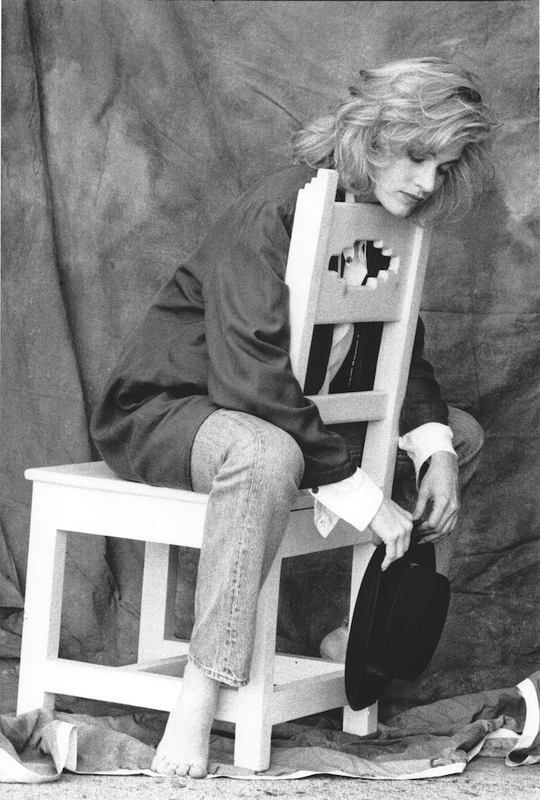 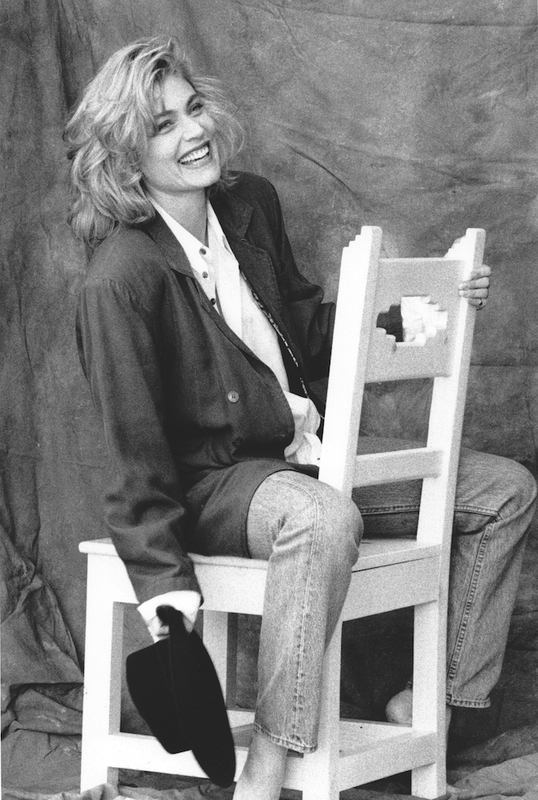 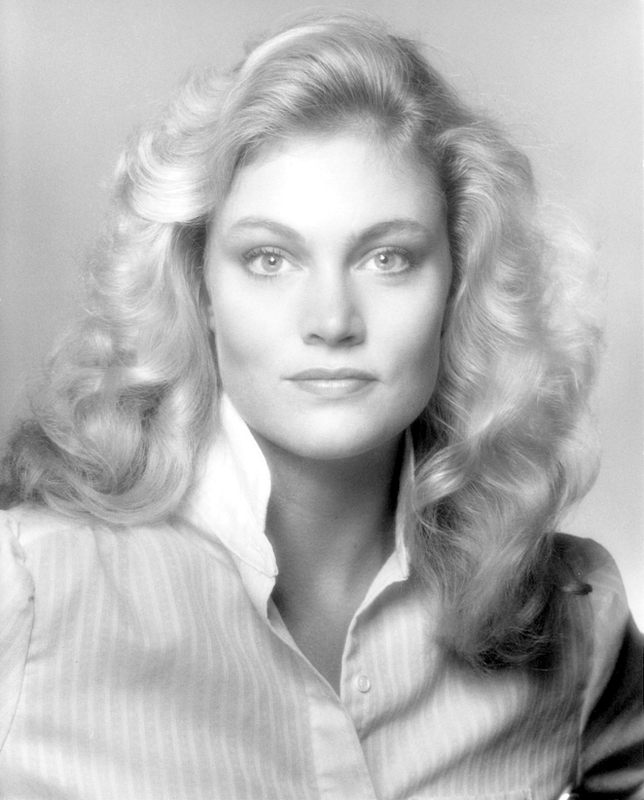 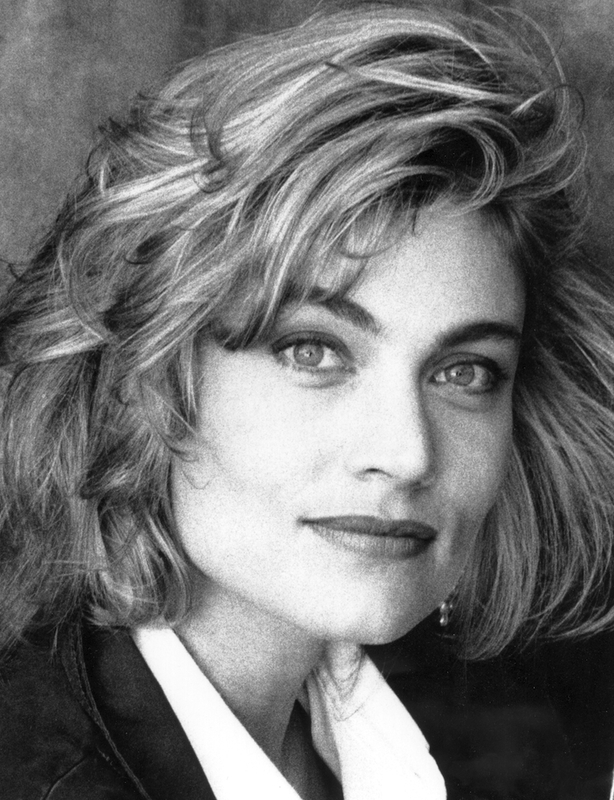 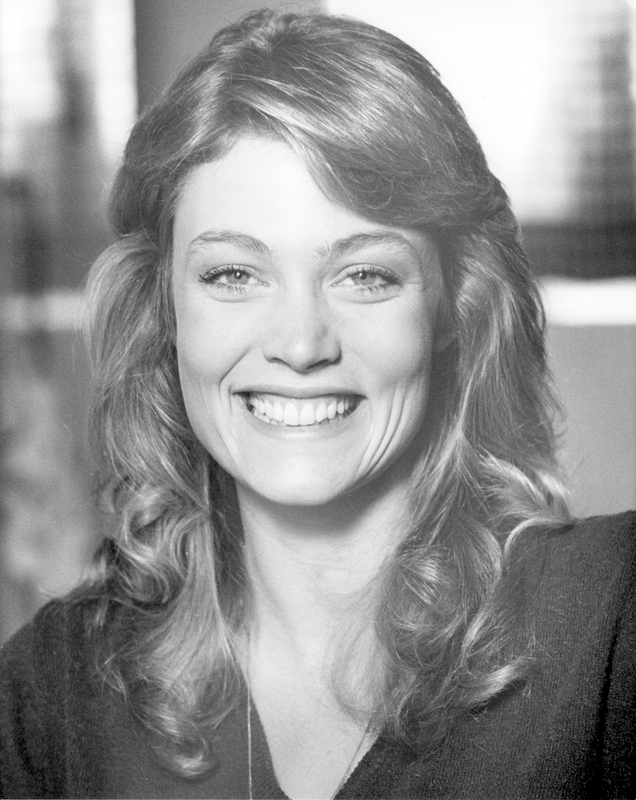 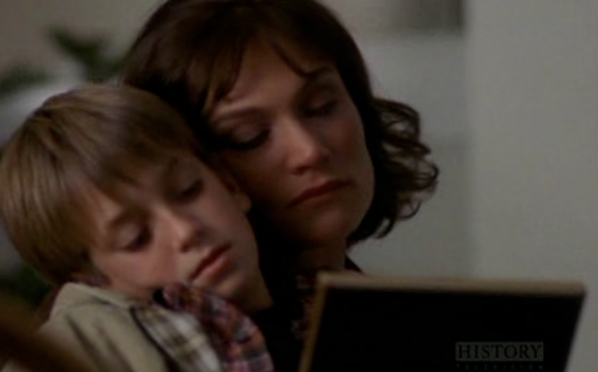 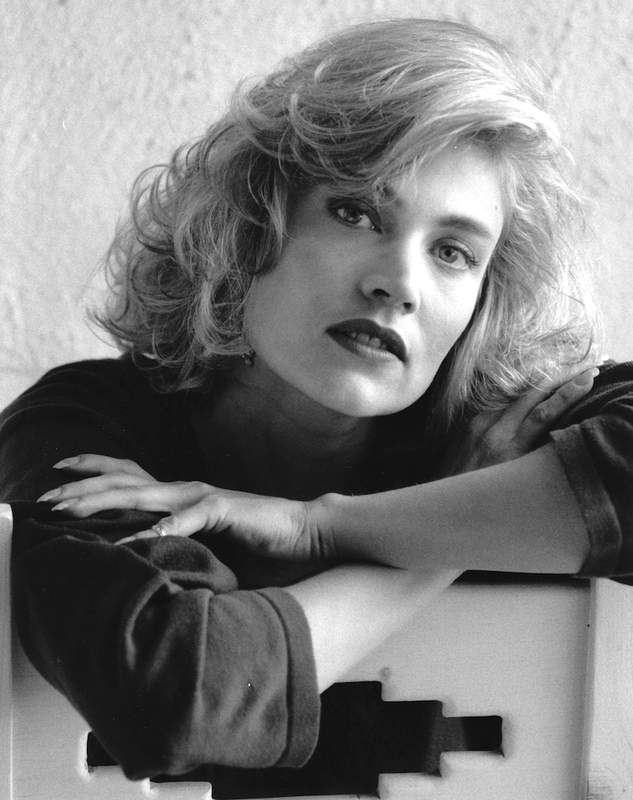 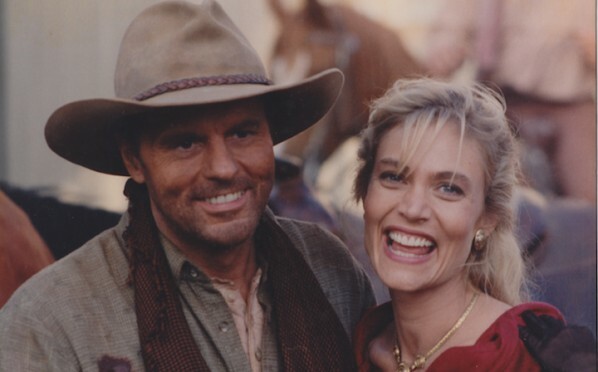 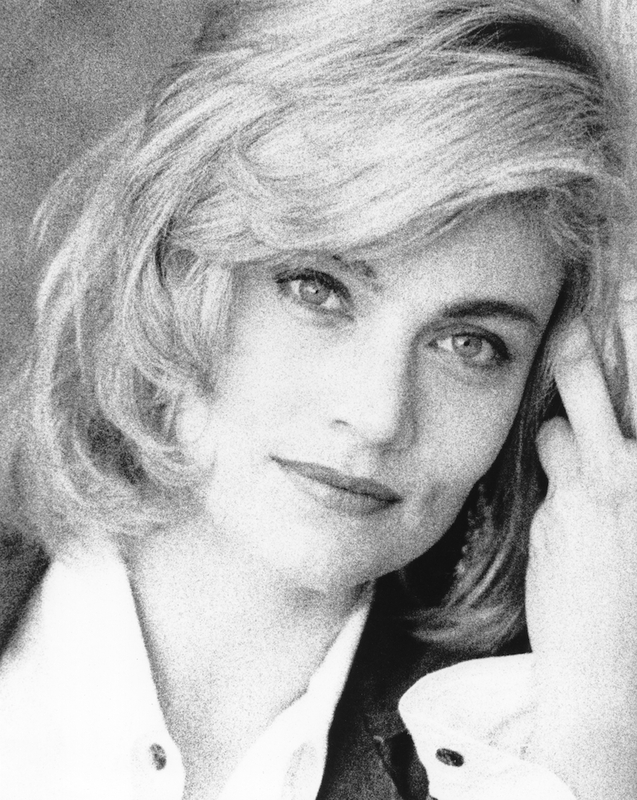 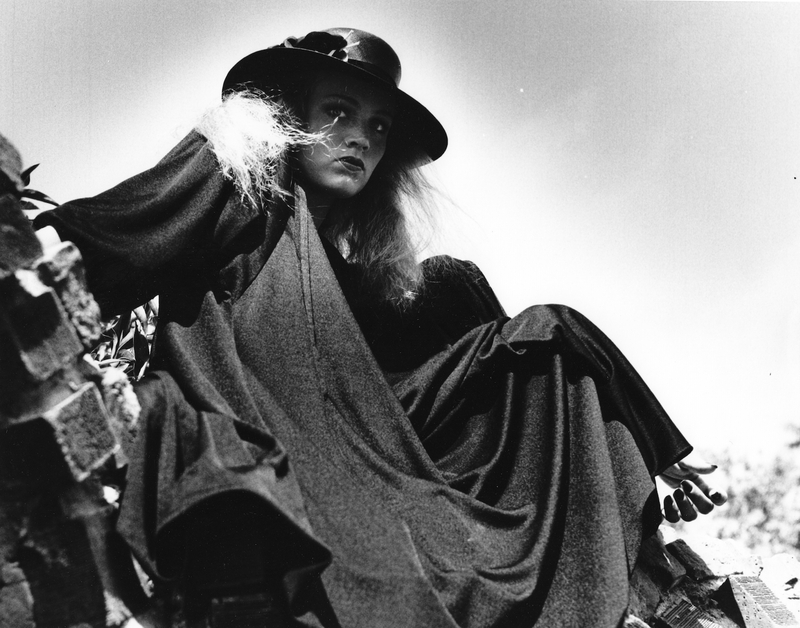 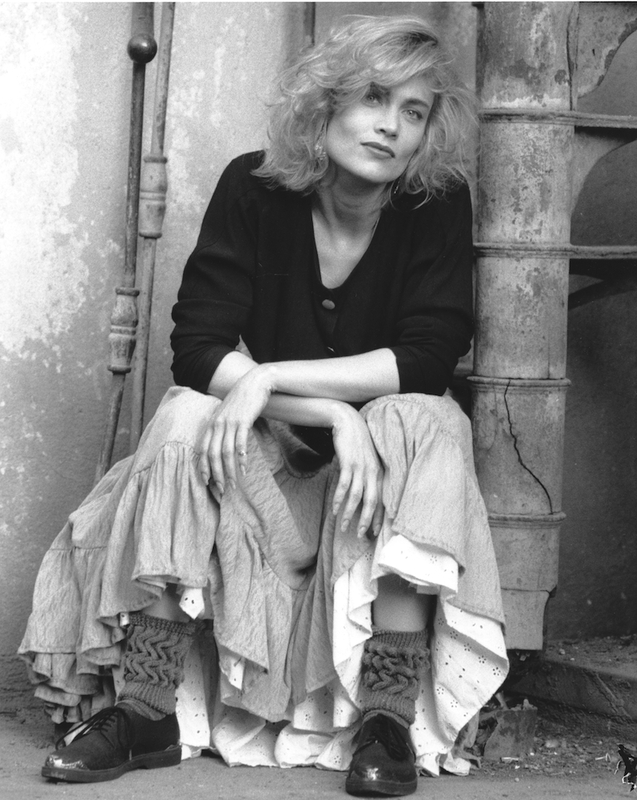 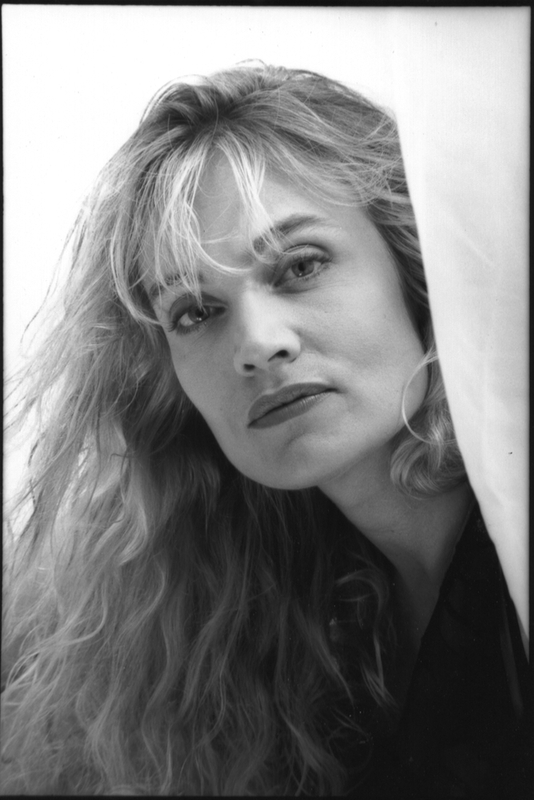 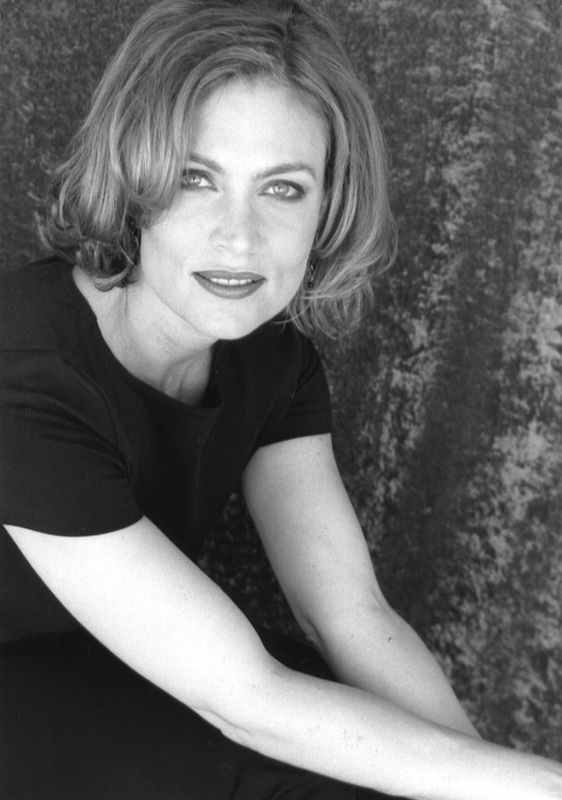 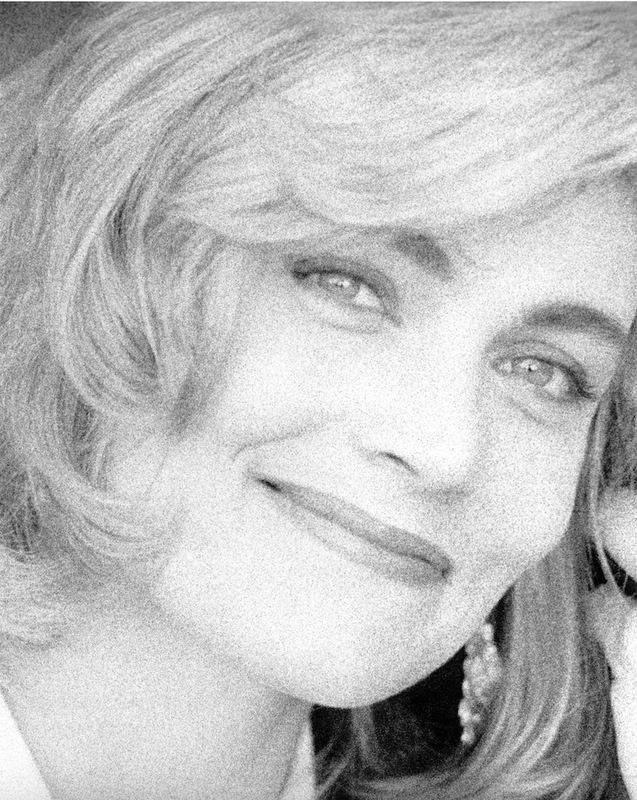 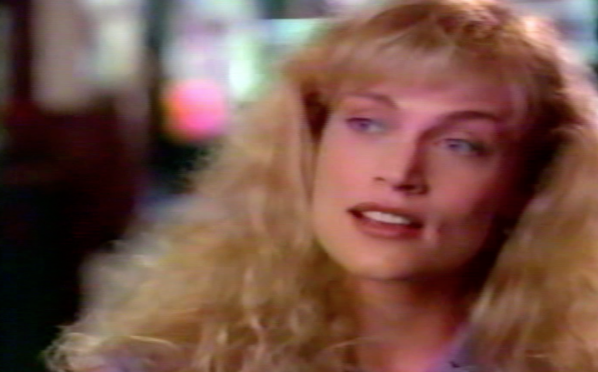 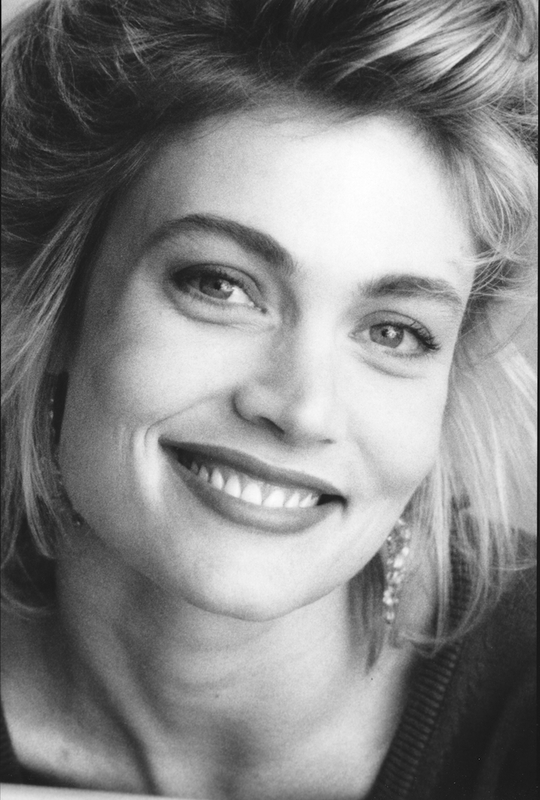 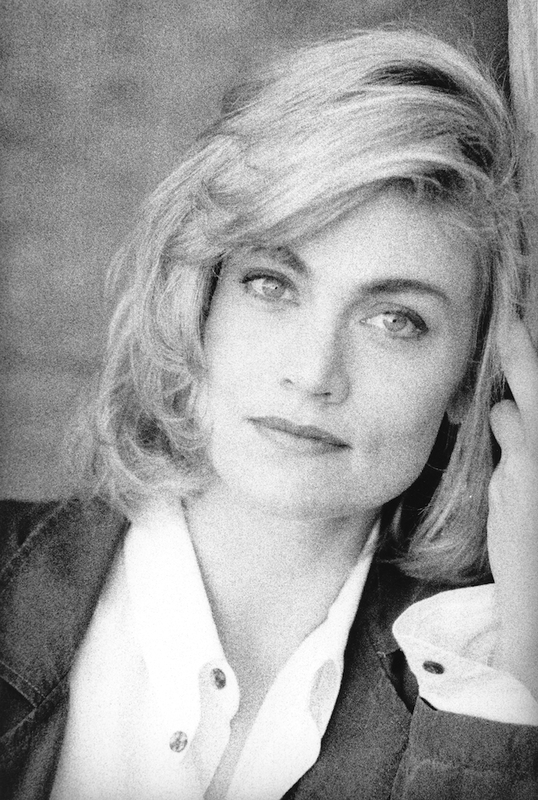 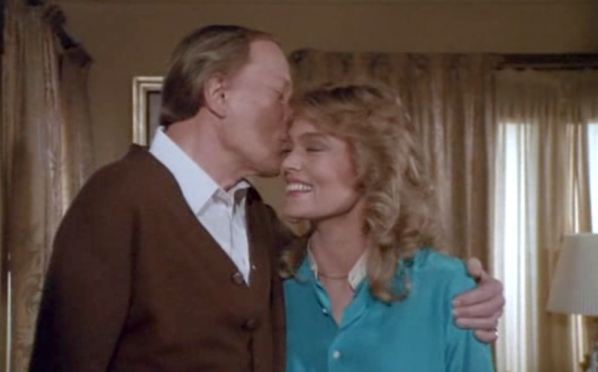 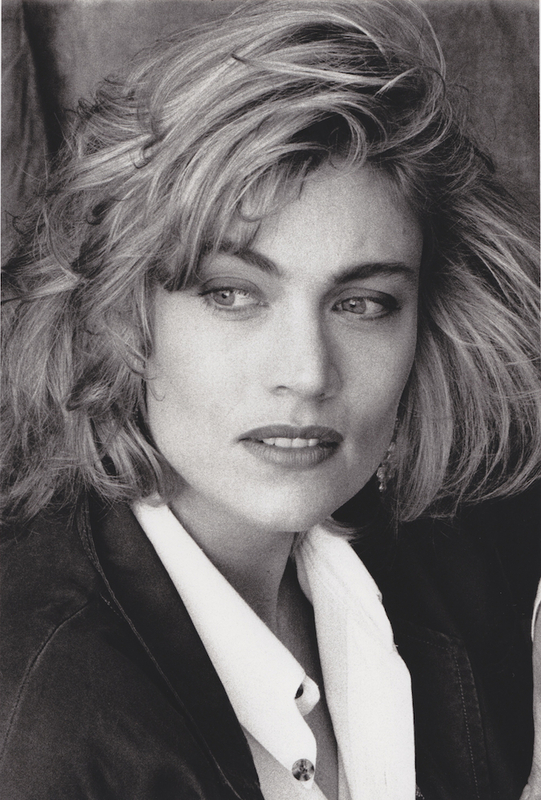 Born into a family of actors and directors from San Diego, California, it was only natural that Daphne Ashbrook should discover her love of acting while still a young child. 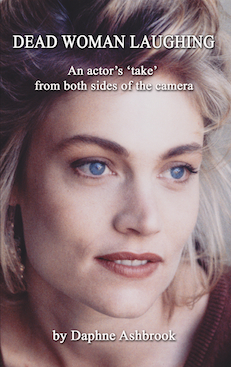 Her parents met while starring opposite each other in the play Dark of the Moon at San Diego State University. 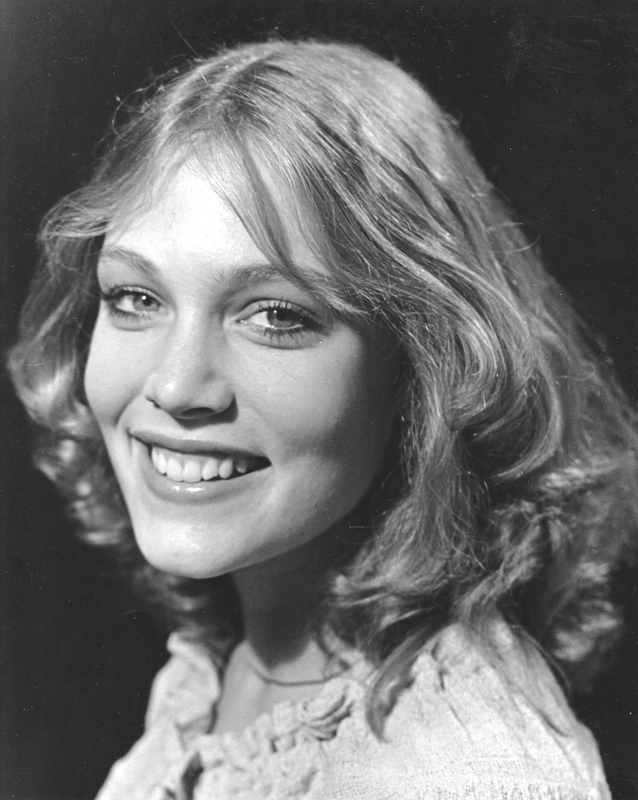 Much of her childhood was spent hanging out in theatres either watching her parents rehearse or perform in a multitude of plays. 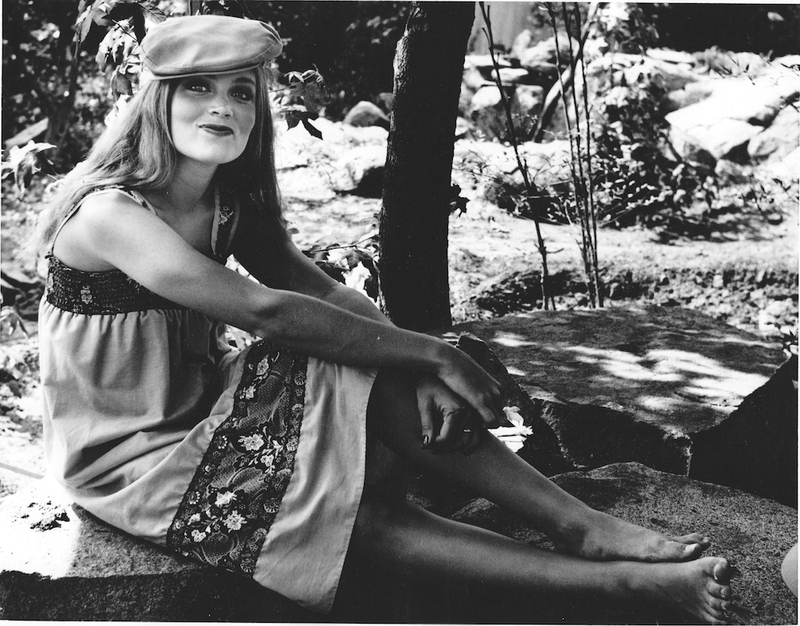 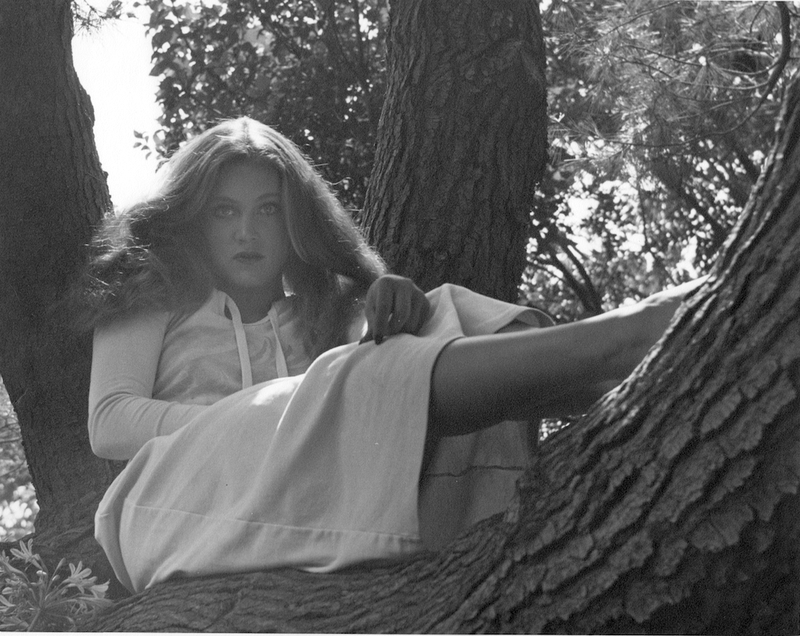 Following in her parent’s footsteps, Daphne did her first play at six, and at seven, played Susanna (Shakespeare’s daughter) in the play A Cry of Players at Grossmont College, for which she won an American College Theatre Festival Award. 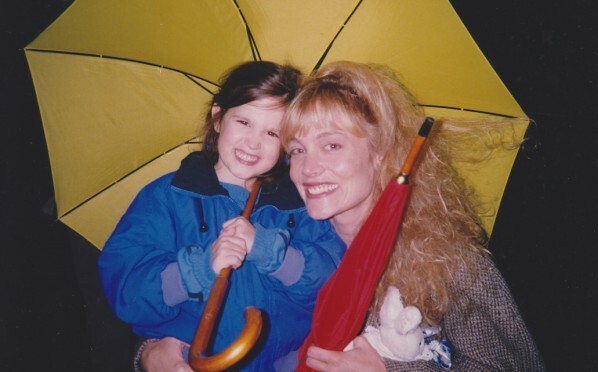 And she was hooked. 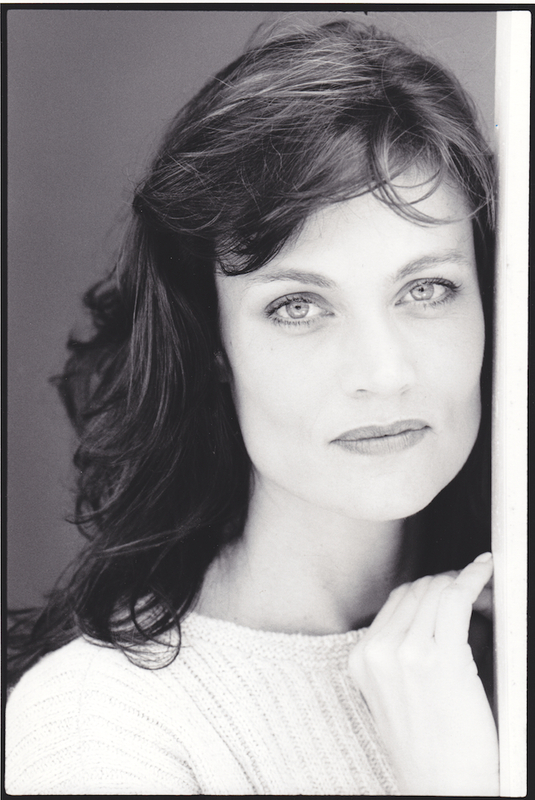 Daphne has continued to do theatre whenever time permits throughout her career, as theatre is her first love. 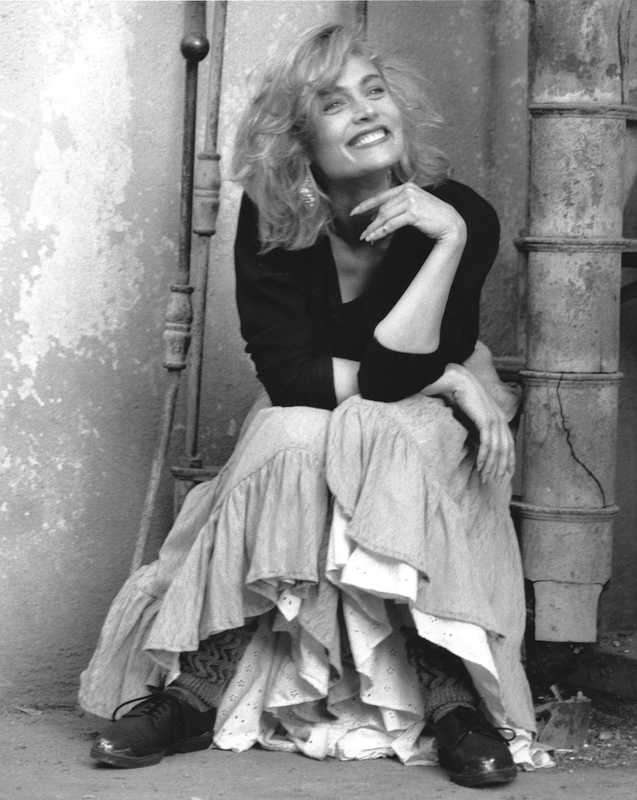 She was nominated for a Best Supporting Actress Ovation Award for her portrayal of Rosalie in Landscape of the Body by John Guare. 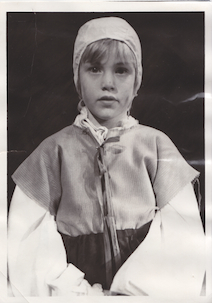 And won a Dramalogue Best Actress award for her role in the original play Hearts. 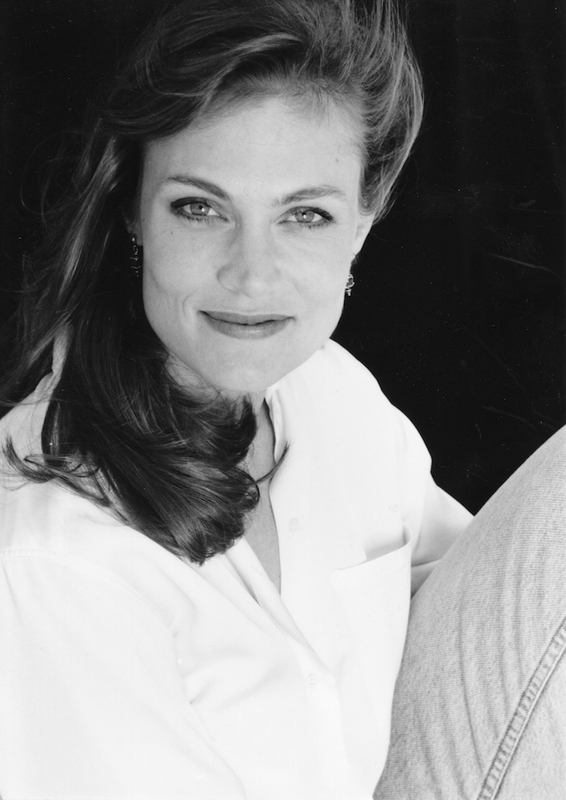 Throughout her busy career, Daphne has become known for both her comic timing and deep emotional portrayals. 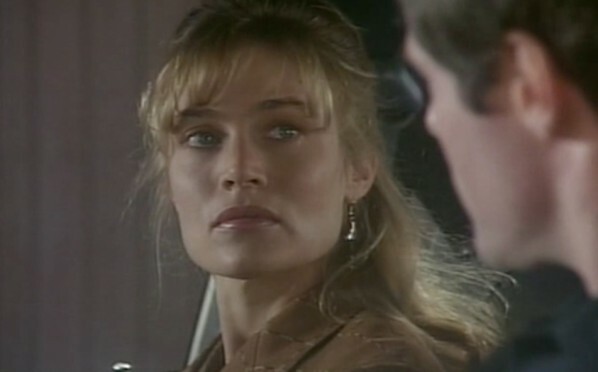 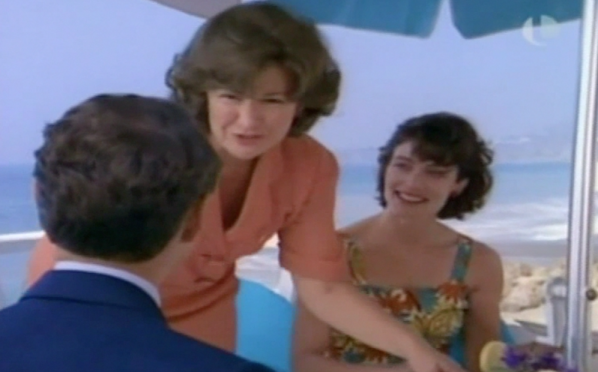 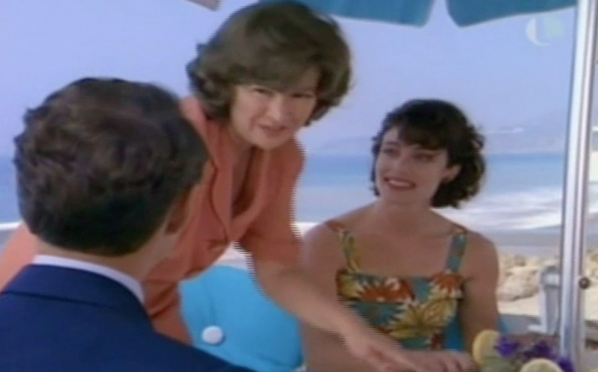 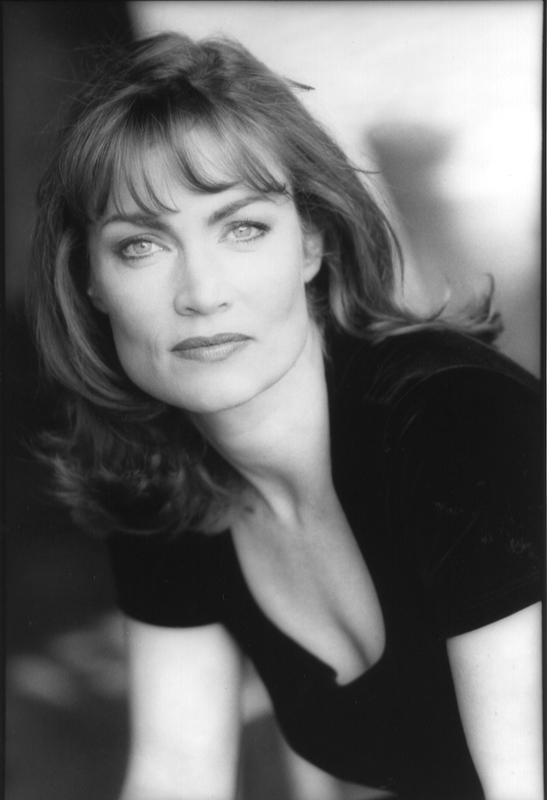 Perhaps her most memorable roles are Dr. Grace Holloway in the 1996 Doctor Who Movie and the title character in Melora: Star Trek: Deep Space Nine. 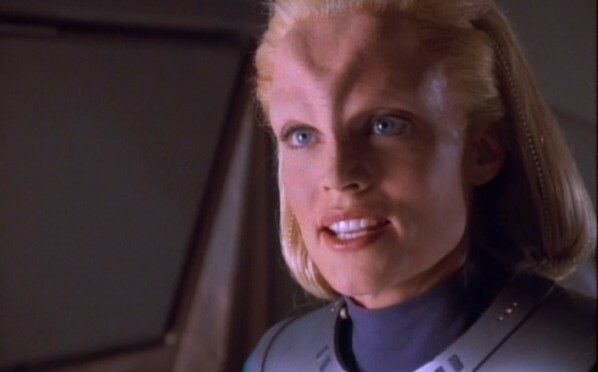 Sci Fi fans are often quick to point out that Daphne is the only woman to have had a starring role in both the Star Trek and Doctor Who franchises. 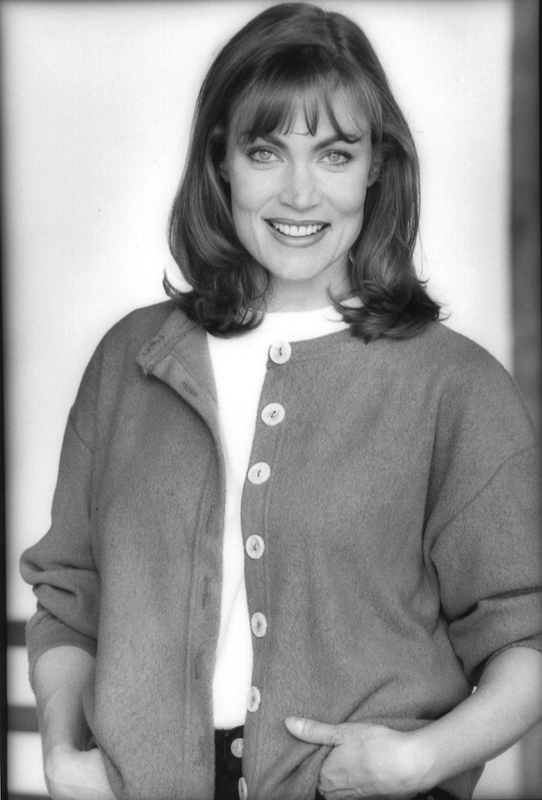 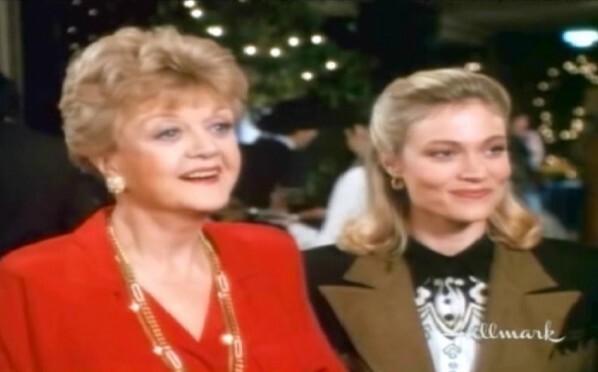 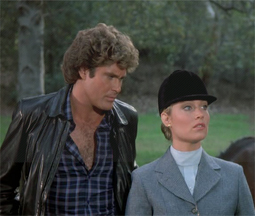 She has starred in many TV movies and Mini-Series including: Rock Hudson, where Daphne played his wife, Phyllis Gates, who wrote the book the Mini-Series was based on. 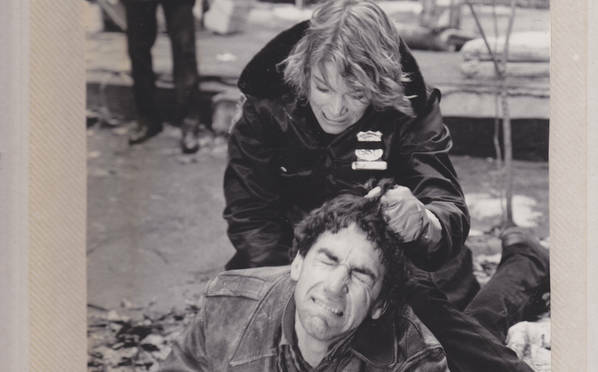 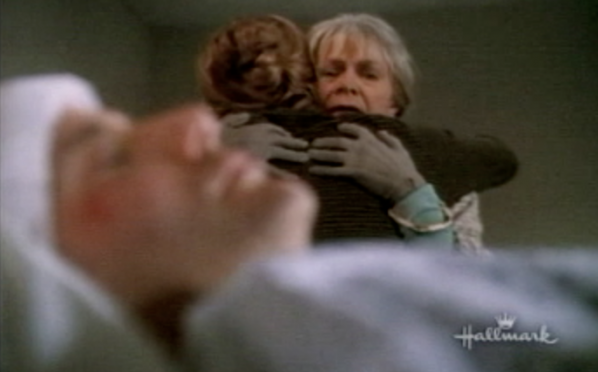 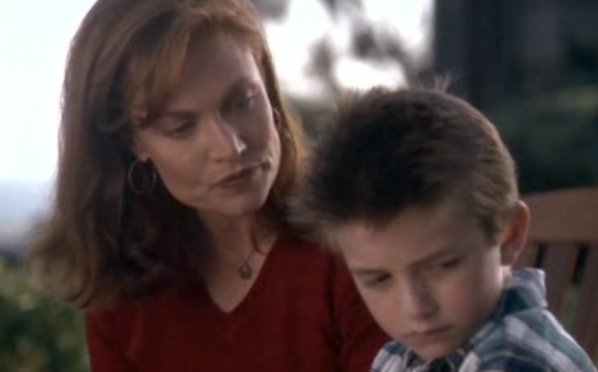 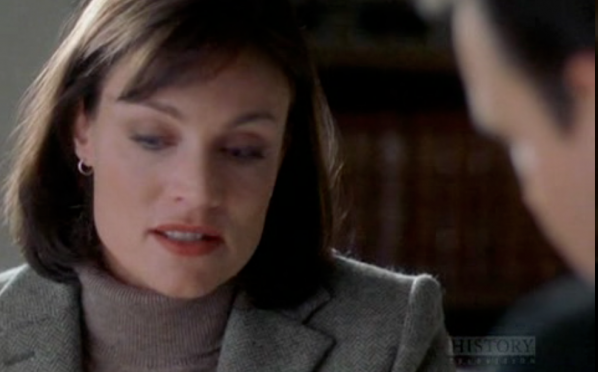 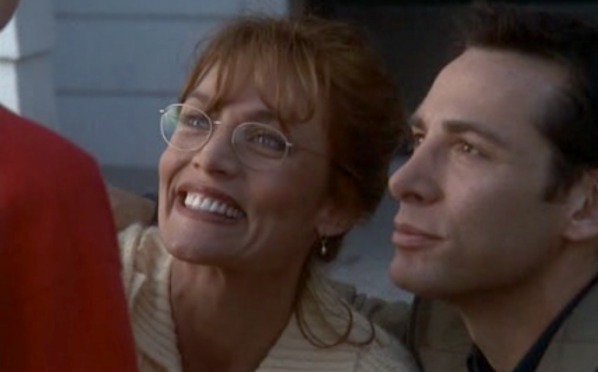 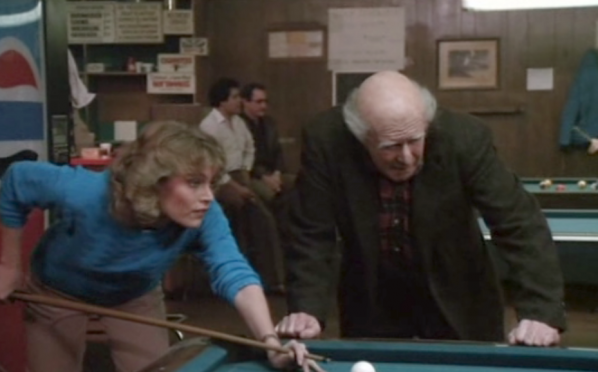 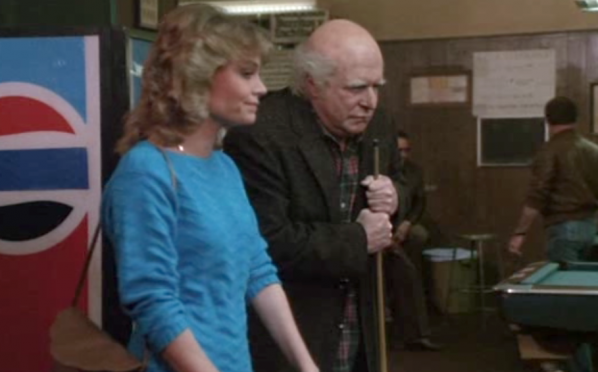 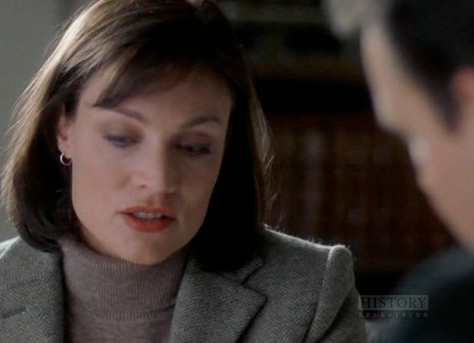 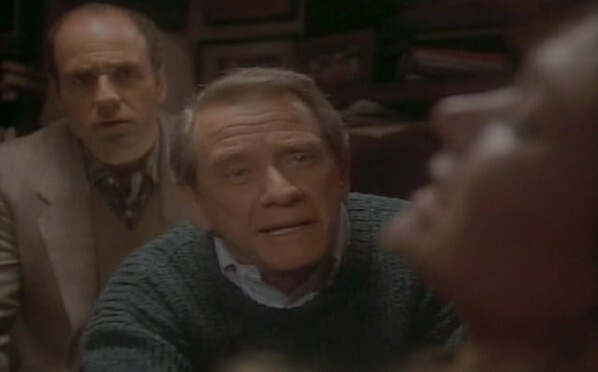 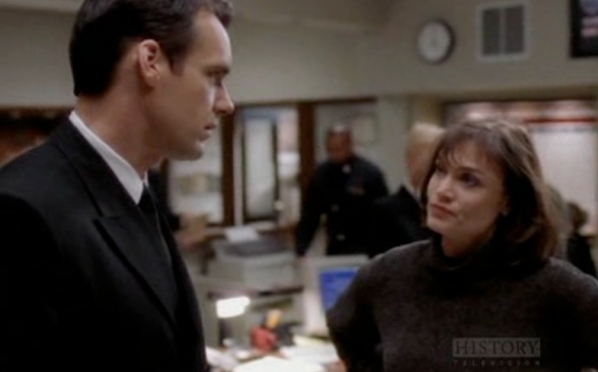 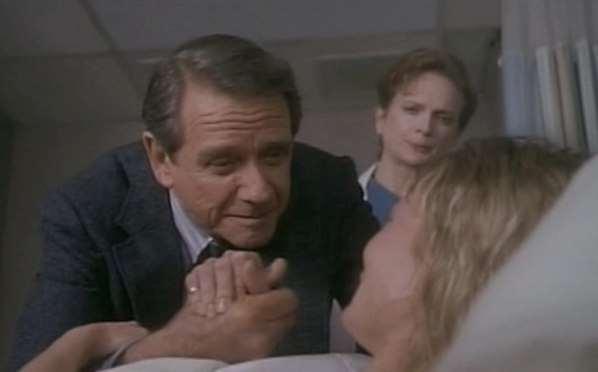 Daphne also starred in the Mini- Series Intruders, with Mare Winningham and Richard Crenna, and The Love Letter, starring opposite Campbell Scott, just to name a few. 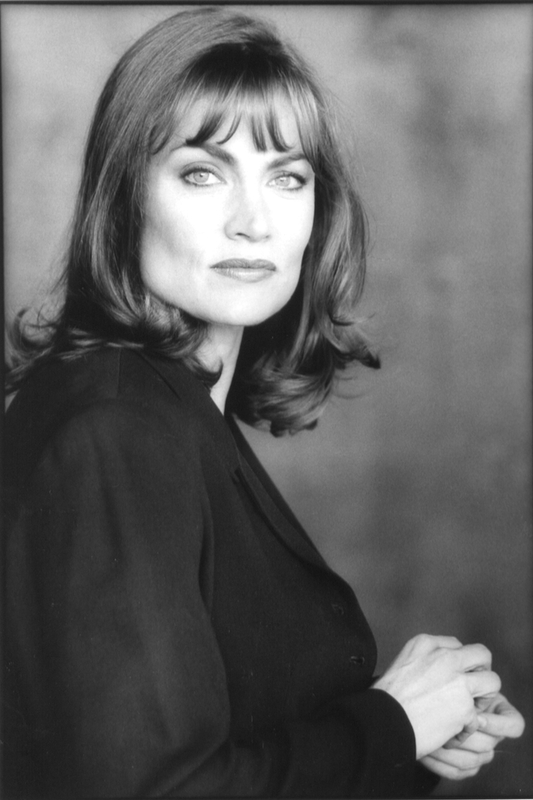 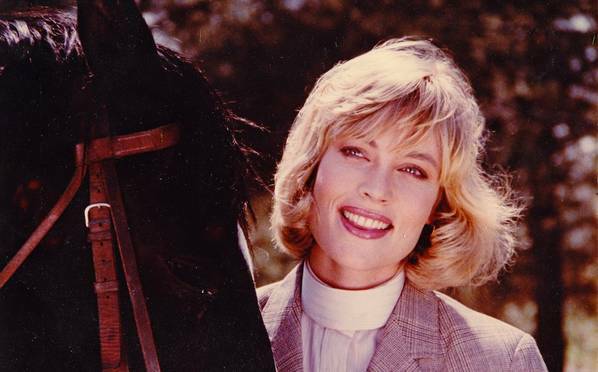 Other TV and film work include recurring roles on The O.C., JAG, Falcon Crest and Hooperman as well as guest appearances on NCIS, Law and Order, Cold Case, CSI, Crossing Jordan, Without a Trace, Murder She Wrote, Judging Amy, The Guardian, Ghost Whisperer, Diagnosis Murder, Knight Rider, and many, many more. 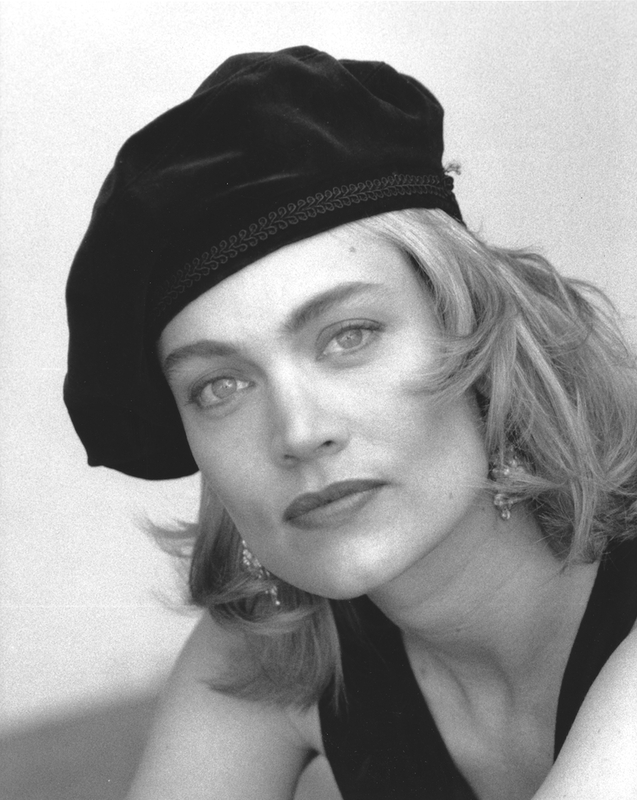 She won a Best Supporting Actress Award at the Method Fest Independent Film Festival for her performance in the film Dumbarton Bridge. 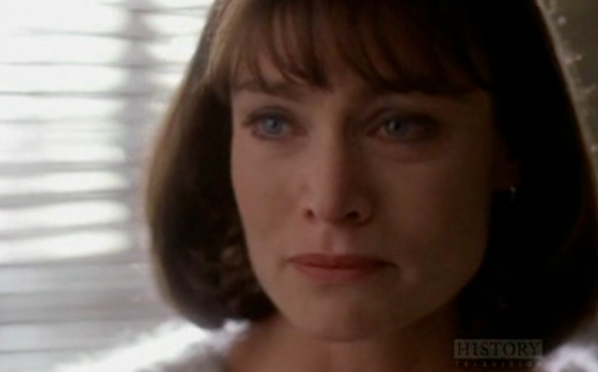 "Star Trek: DS9" - "Dr. Bashir" falling in love with "Melora"
"Summer" - TV Movie - On the set in Seattle with Paton. 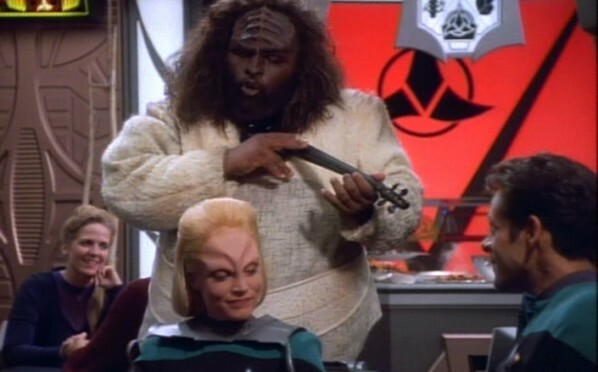 I always liked what they did with the hair. 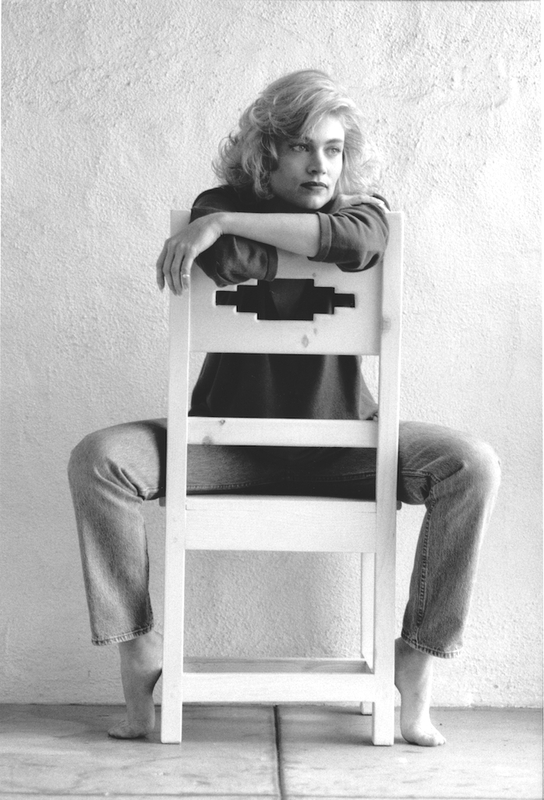 A work of art. 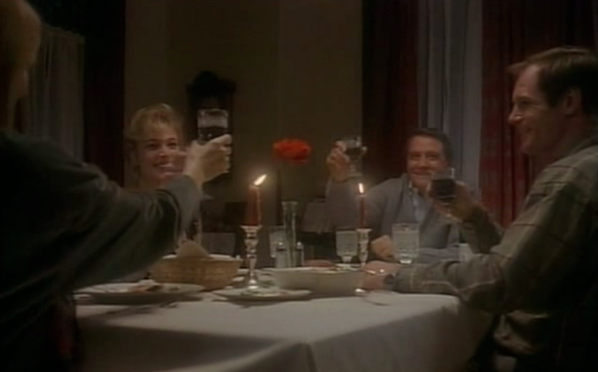 "Star Trek - DS9" - "Melora"
"Star Trek: DS9" - "Melora"
"Star Trek: DS9" - "Melora" and "Dr. Bashir" on a date. 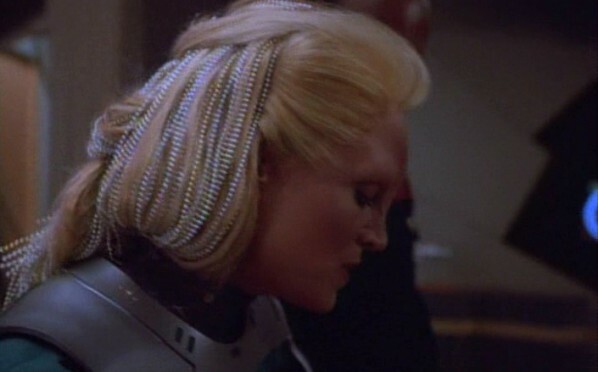 "Star Trek: DS9" - "Melora" stunt. 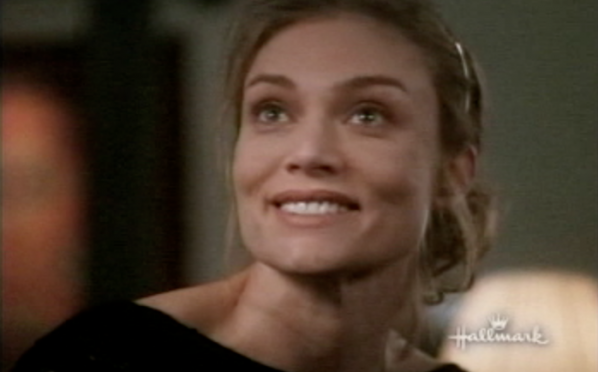 "Doctor Who" - As "Dr. Grace Holloway"
She completed filming the series Hollywood Heights for Nickelodeon in 2012 where she played Jackie, the rough-around-the-edges mother of Chloe. 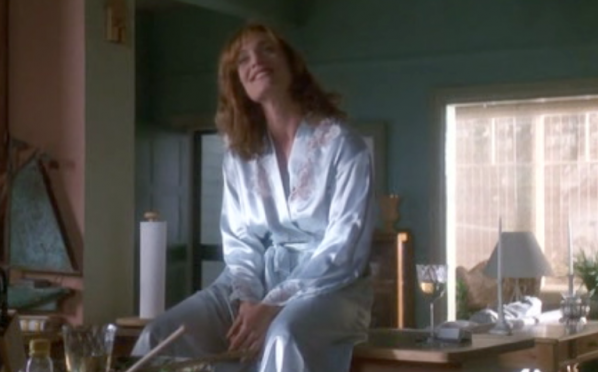 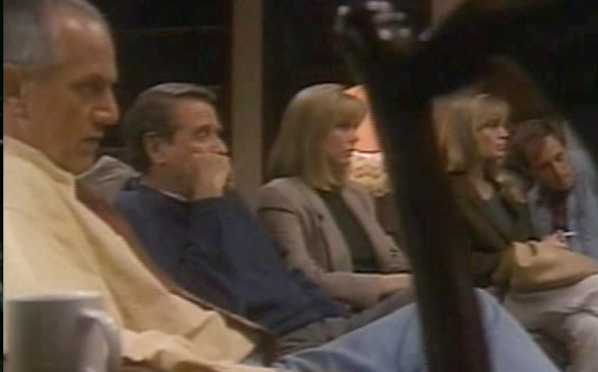 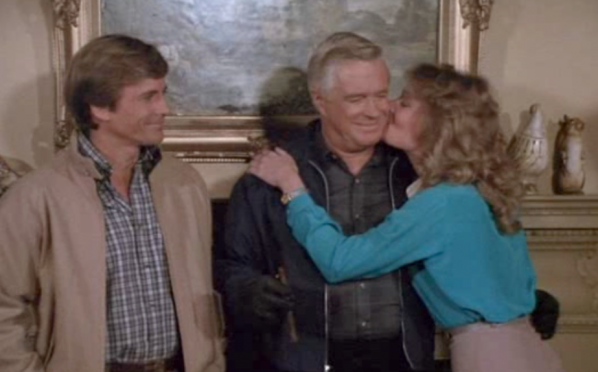 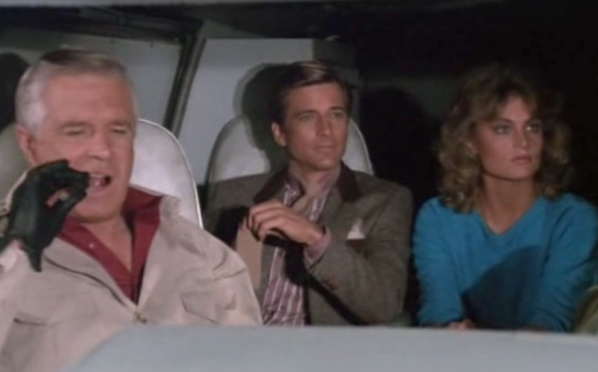 One of the writers came up to her on the set one day and said, “Just so you know, when we started seeing your work on the show, we all loved writing more speeches for you to do.” Daphne remarked that that was one of the nicest compliments she’d ever been paid by anyone in the business. 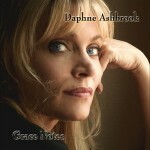 Also a talented singer, Daphne recently released her first CD, Grace Notes, to rave reviews and a selection for the 2012 Grammy nomination ballot. 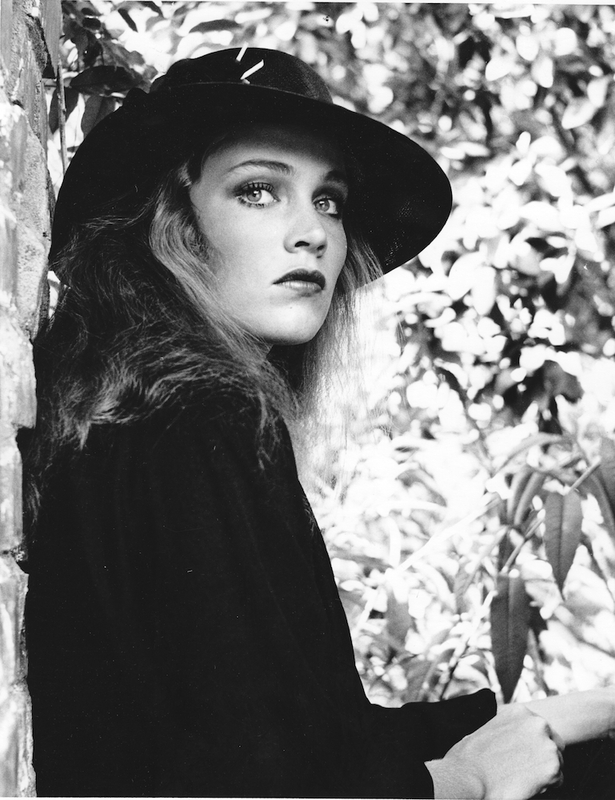 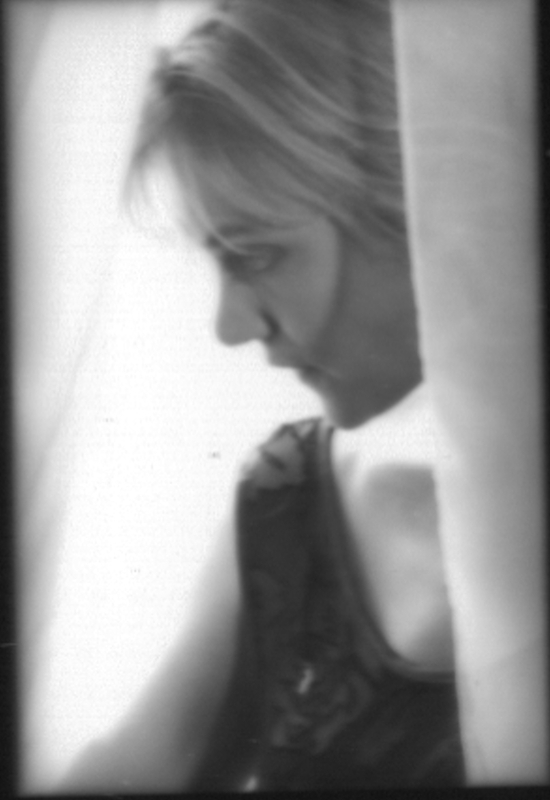 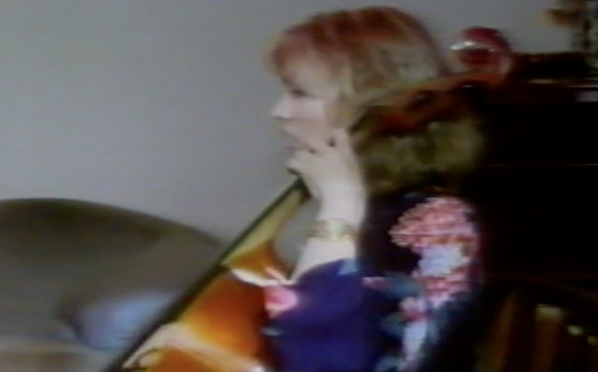 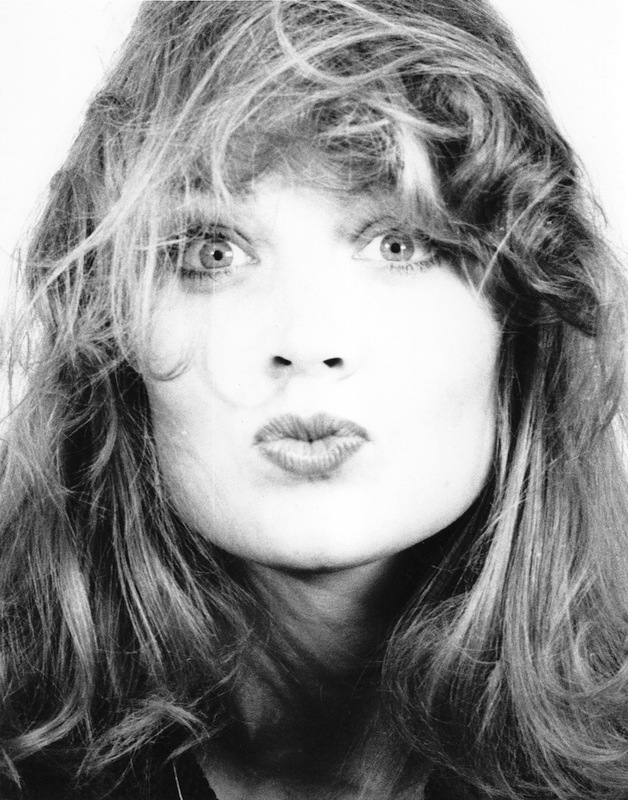 The album was inspired by her daughter, Paton Ashbrook, who one day sang harmonies as Daphne sang a Joni Mitchell tune while they waited in a lobby. 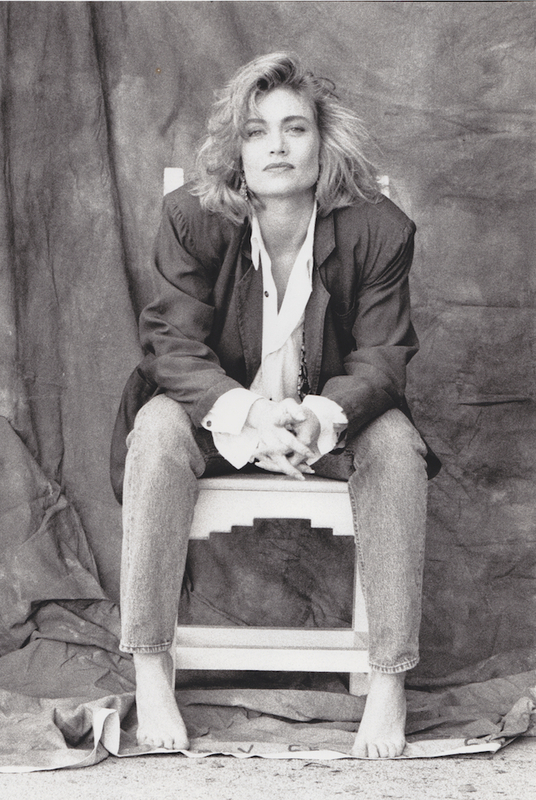 “Music has always been a big part of my life, but when I heard our voices together, I knew I had to finally make the album.” It was a a labor of love for Daphne, as she chose many of her favorite songs from artists such as Joni Mitchell, Patty Griffin, Shawn Colvin, and Carole King. 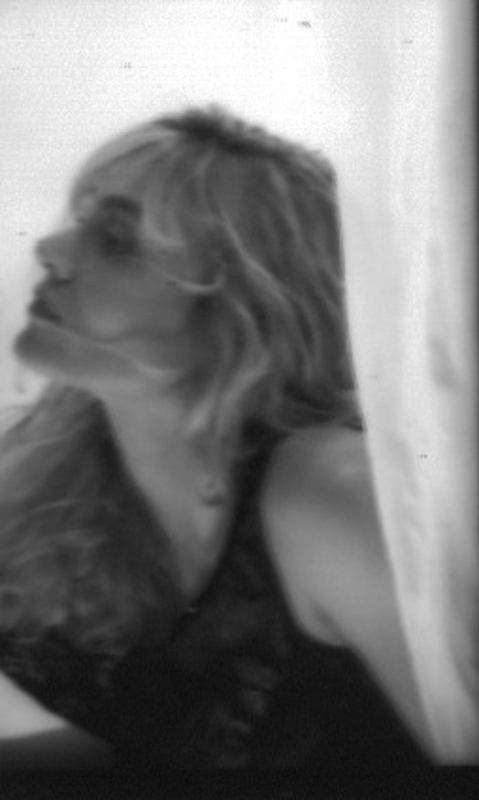 She is currently planning her next album. 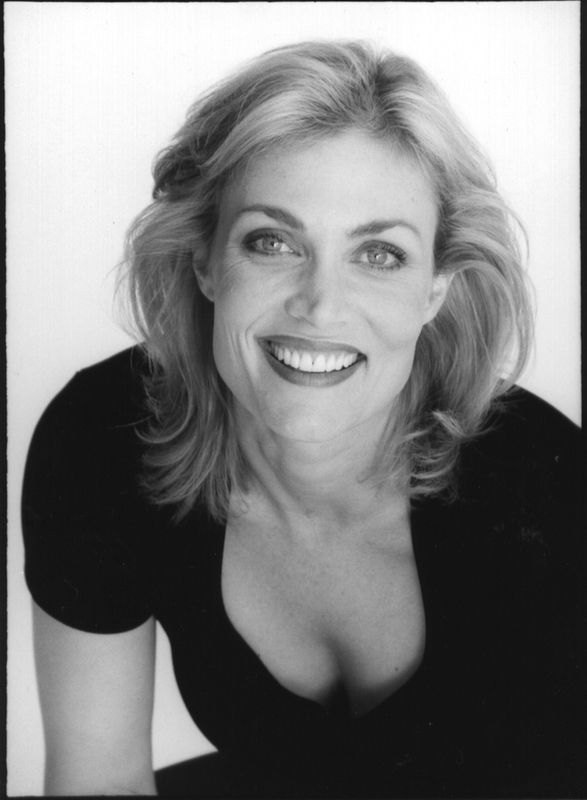 Daphne’s mother, D’Ann Paton, continues her work in the theatre to this day, and appears in plays in the San Diego area often. 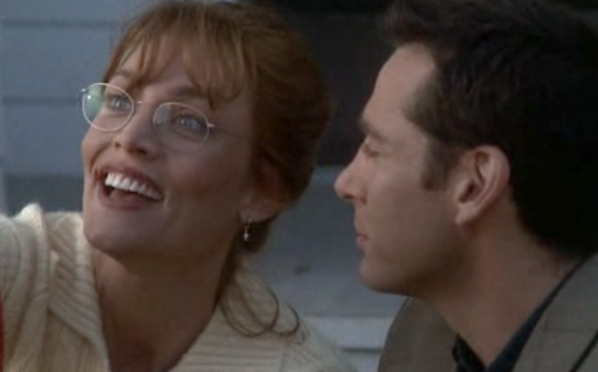 Daphne’s siblings, Dana Ashbrook and Taylor Ashbrook are both in the business as well. 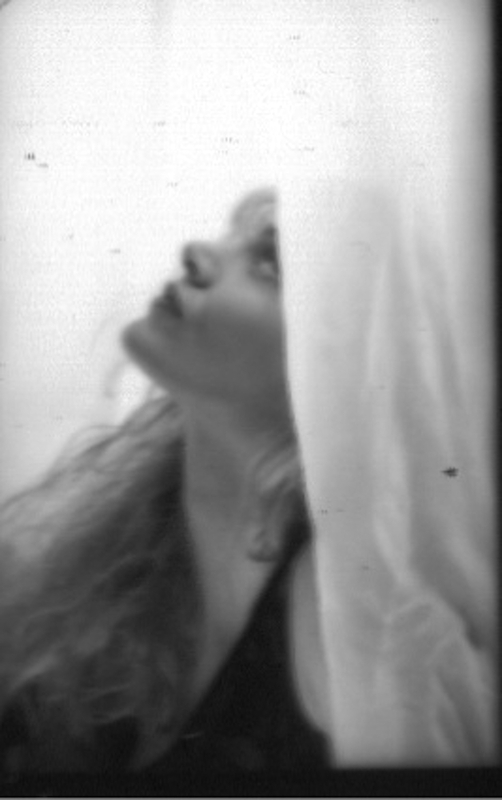 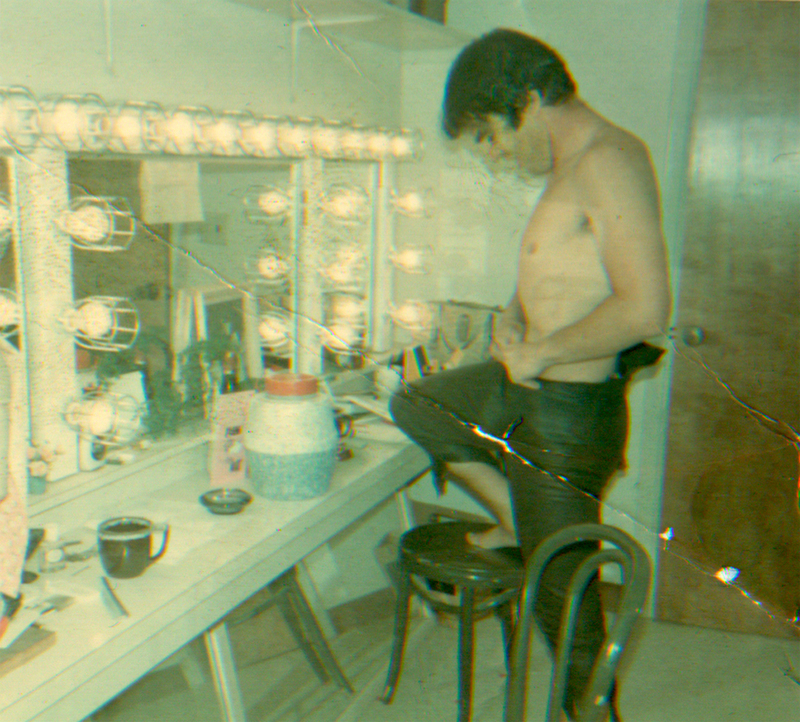 Taylor is a director of theatre in the Los Angeles area. 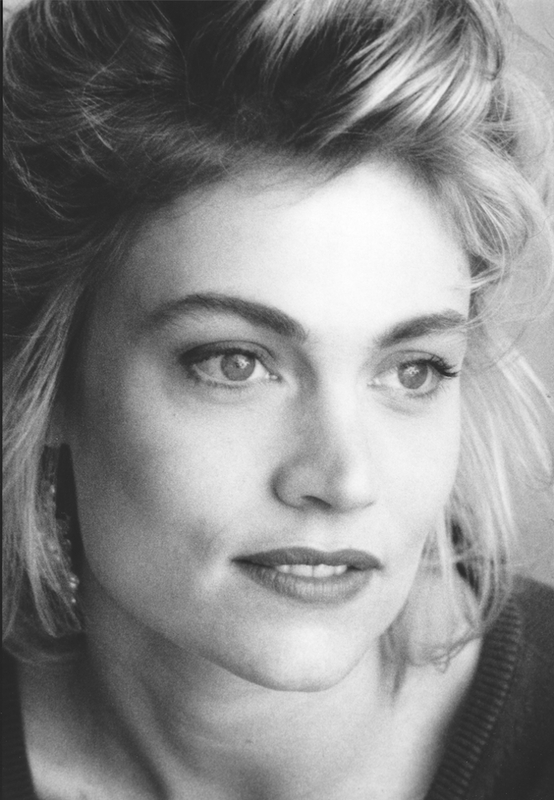 A talented actress she also apprears in plays regularly. 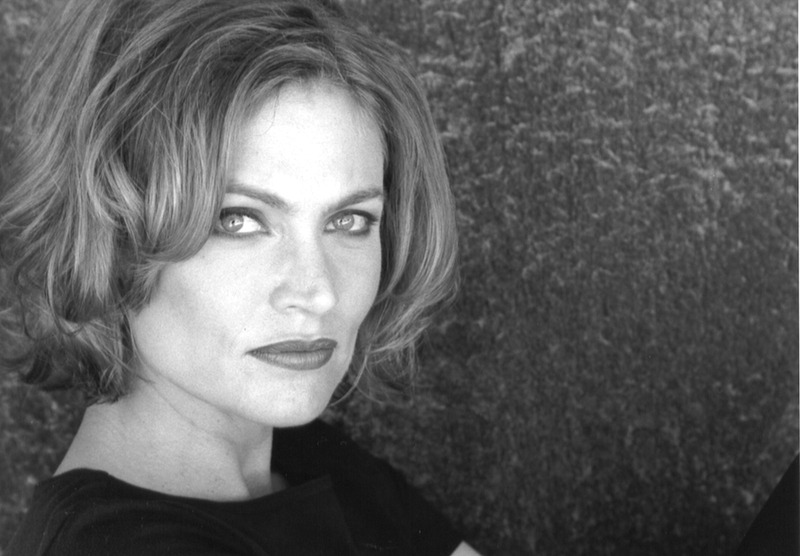 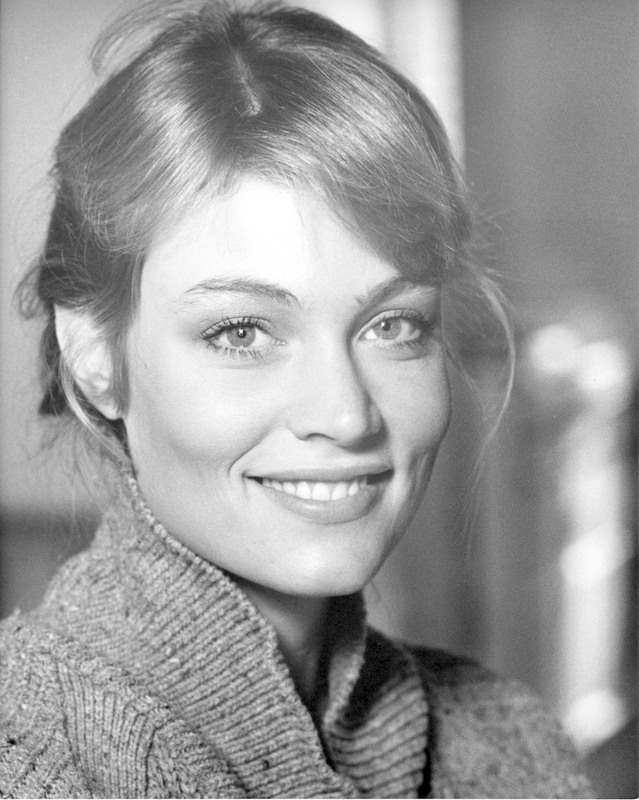 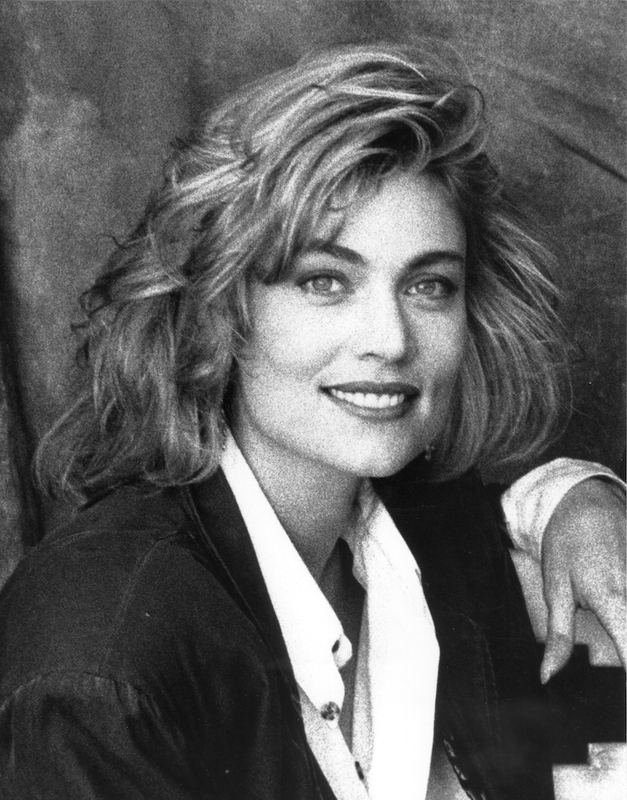 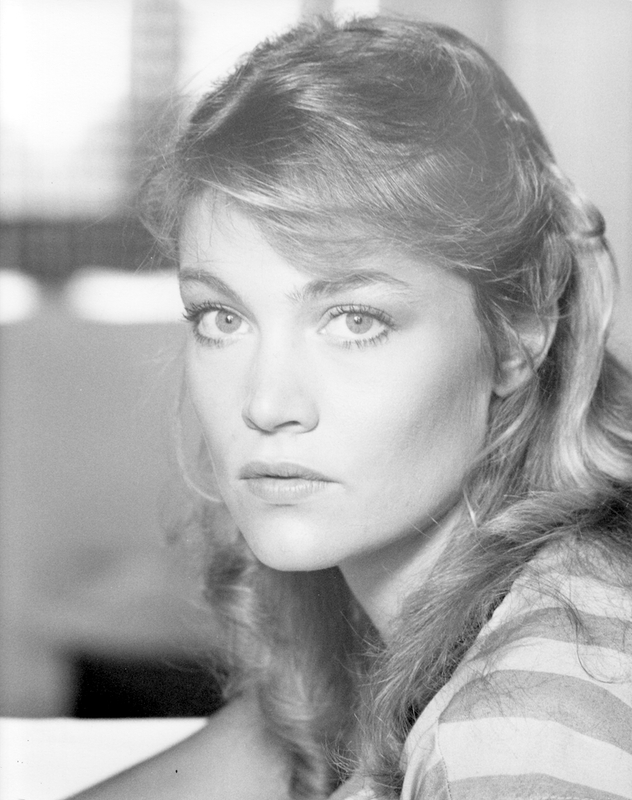 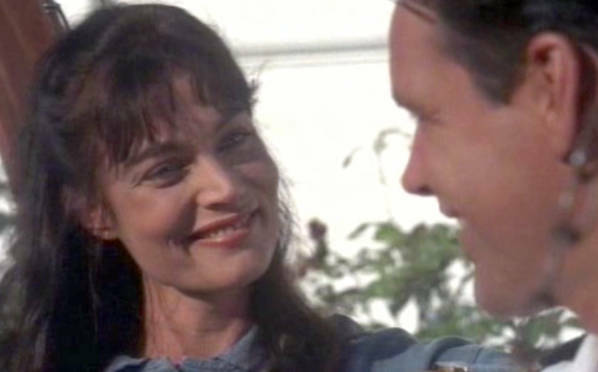 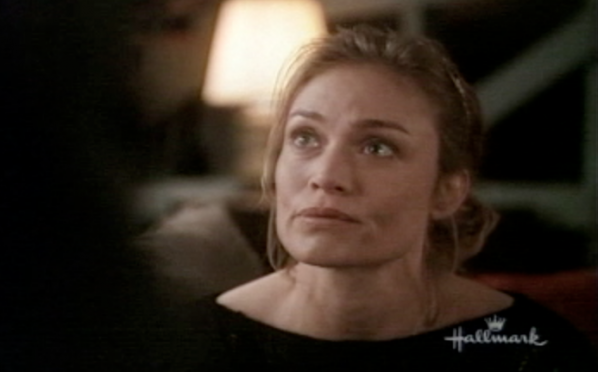 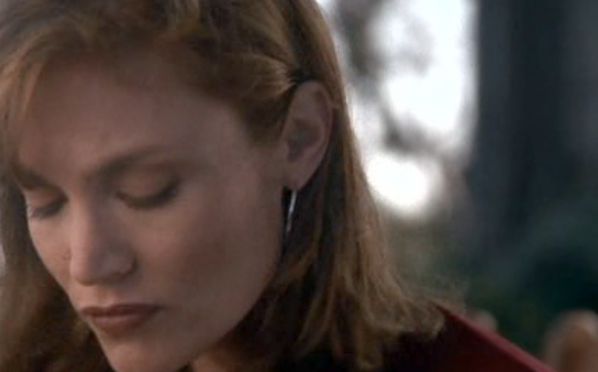 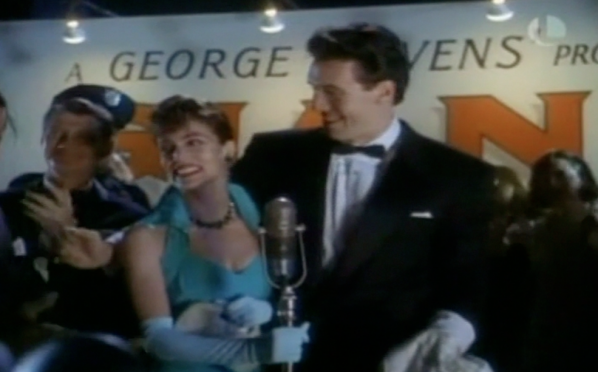 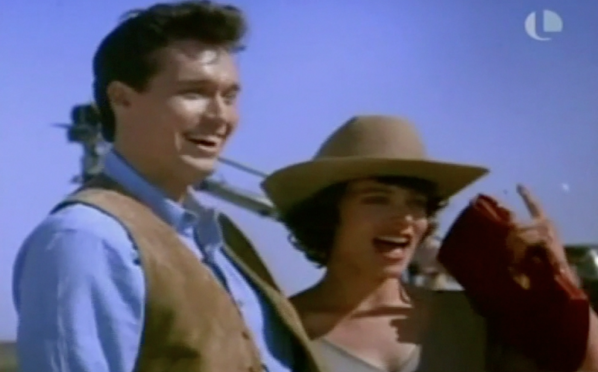 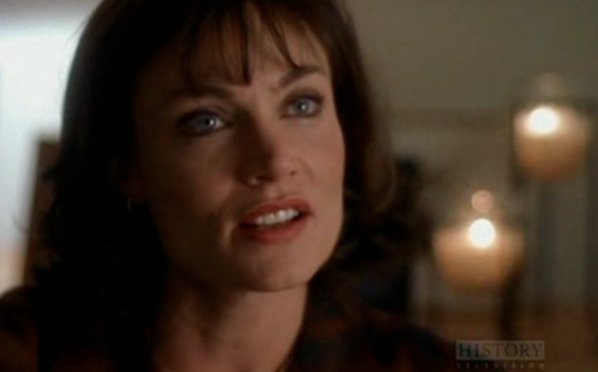 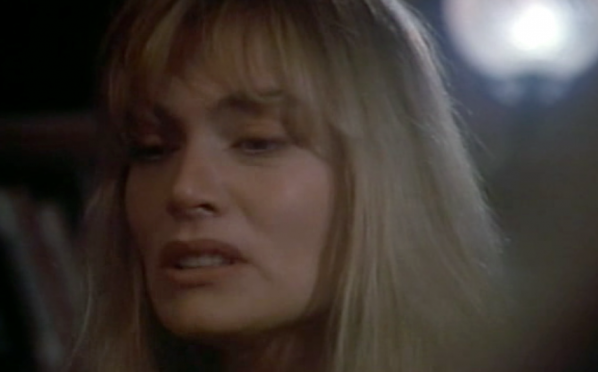 Her brother Dana, has a busy career in the film industry and played Bobby Briggs in Twin Peaks to much acclaim. 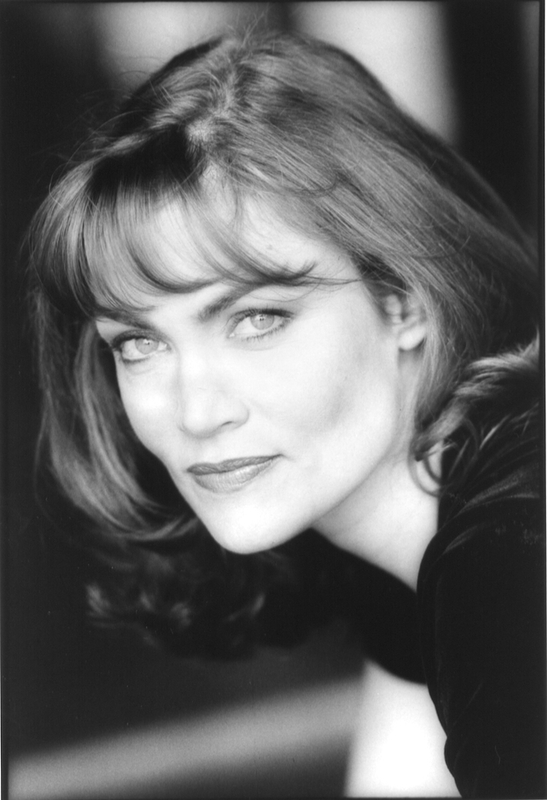 And Daphne’s daughter, Paton Ashbrook, is a wonderful actress and singer, and is currently studying Drama at Juilliard in New York City.